Here I am! I’m still here, I promise! 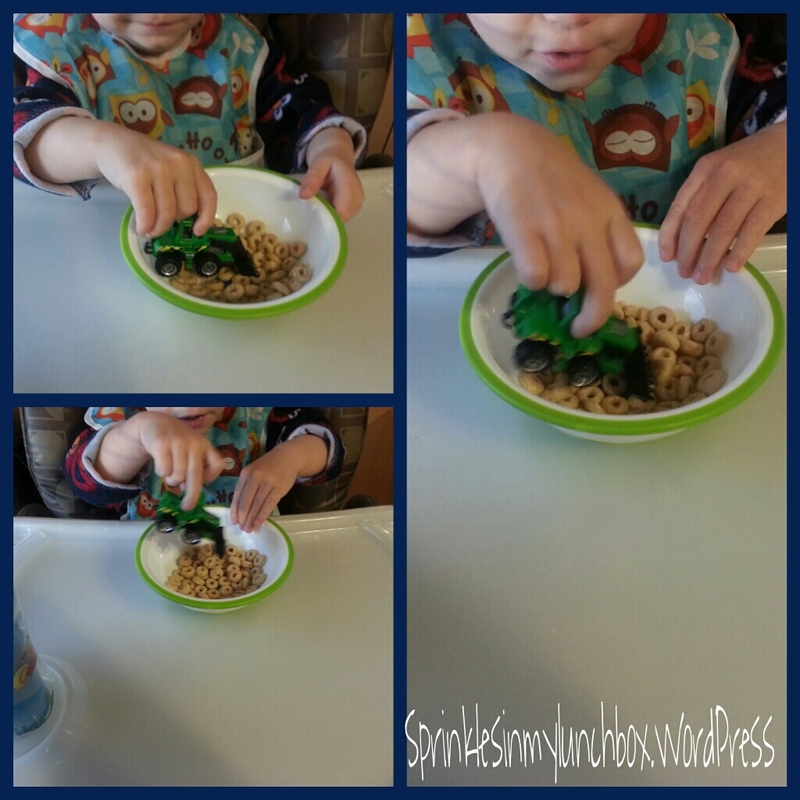 I am slowly getting back on track (#famouslastwords #dontquoteme) and hope to pack normal, blog-worthy lunches for my deserving boys. 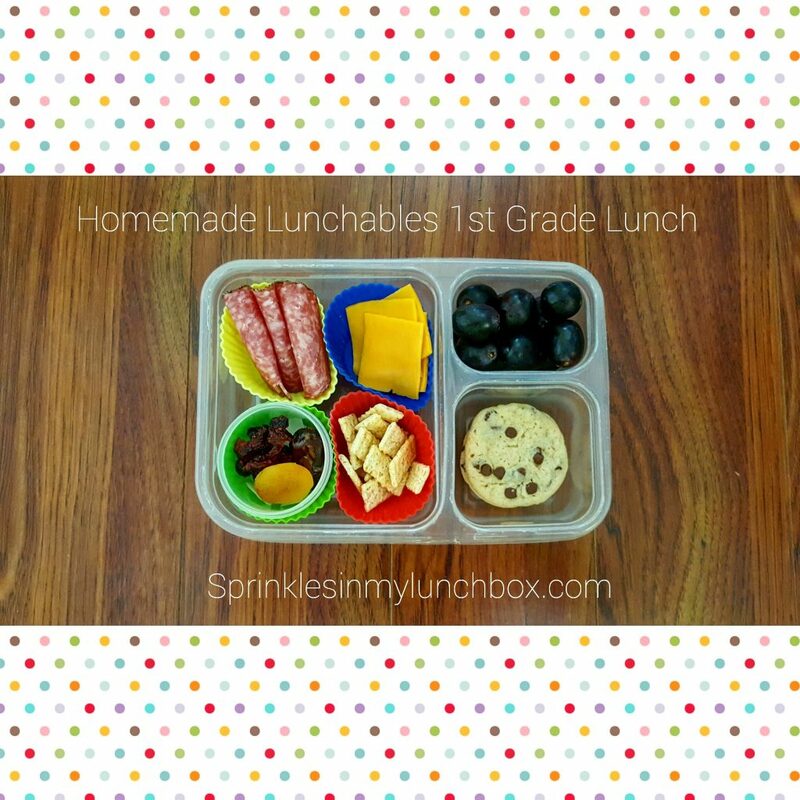 For my NOW GREAT BIG FIRST GRADE SON (when did this happen, I only blinked), I went with an updated homemade Lunchables. One of his best friends loves salami so much, and we always joke about how much she loves her cured meat. Well, it influenced my Bigs and he asked for salami this time. I also added cheddar and crackers, dried fruit (coconut chips, apricot, date, and cranberries), midnight black grapes, and two homemade chocolate chip cookies. 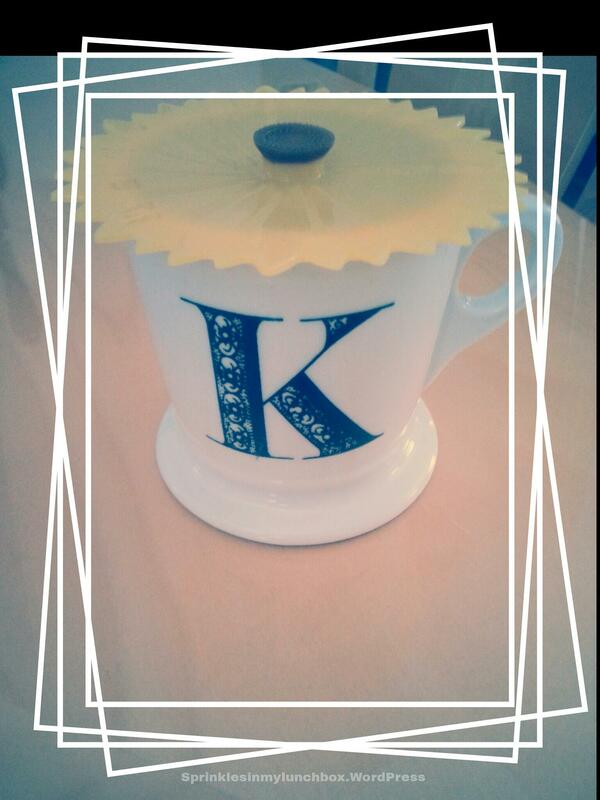 Here’s to many more blog posts!! HA!! Well, oopsie. It’s almost been a month since I blogged. What can I say? Summer really took over. Now, it’s coming to a close. My boys go back to school next week ( 🙁 ). I’ve so enjoyed my extra time with them, where the days started and ended later, we ate our weight in ice cream, and we did what we wanted. Times are a-changin’! It’s back to the grind. It’s going to be a rude awakening next week, when I’ll be forced to wake them up. I’ll cross that bridge when I come to it. That “my baby is now going to Kindergarten” bridge will also have to be dealt with. I’m not emotionally prepared to deal with that at this time. 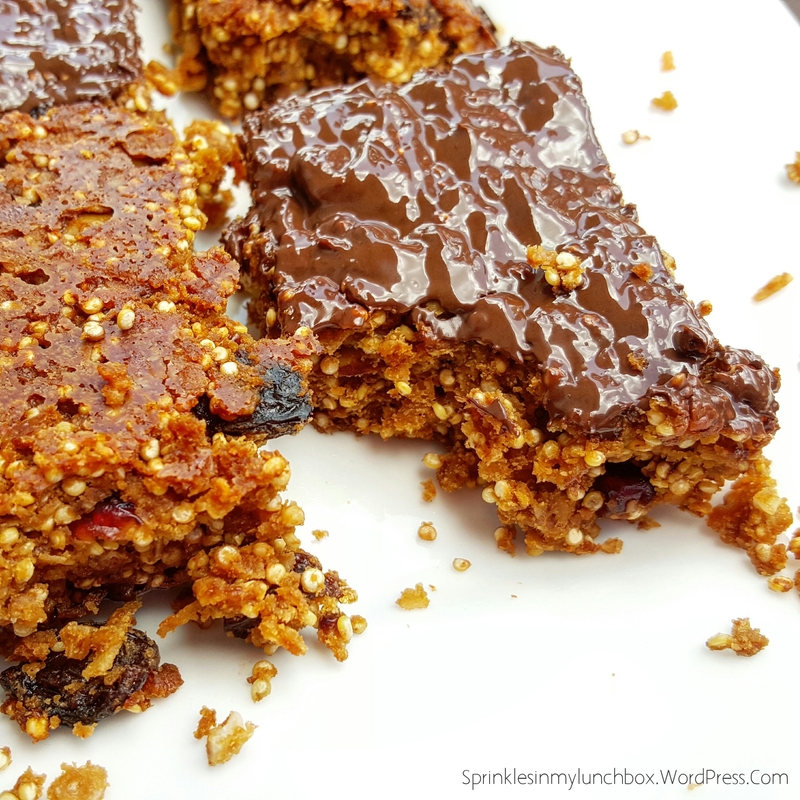 I found a recipe for Quinoa Granola Bars and tweaked them a little. These were so good! 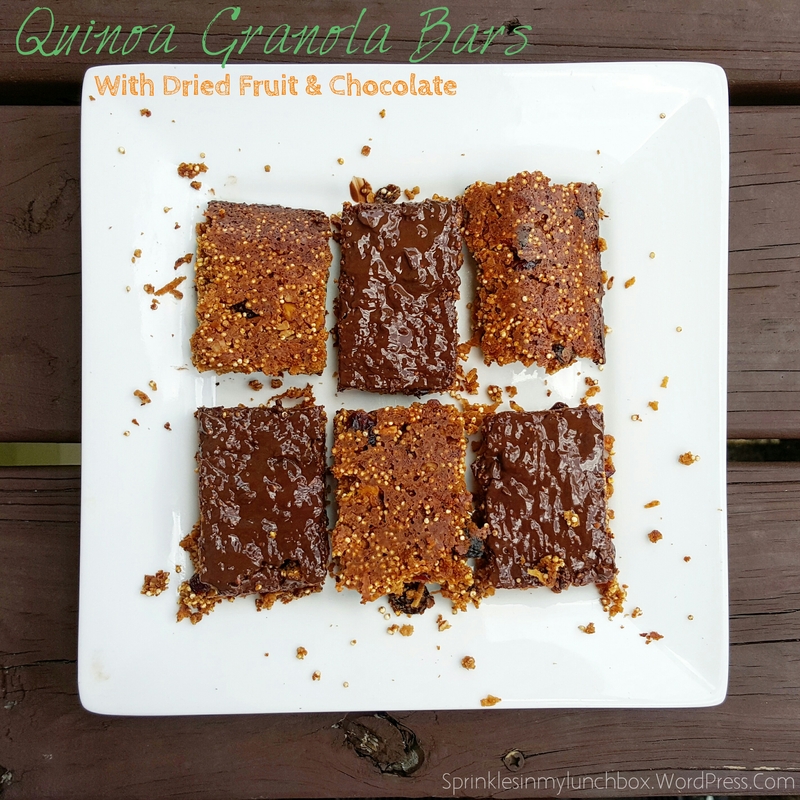 The oats made them chewy and the quinoa made them crunchy. 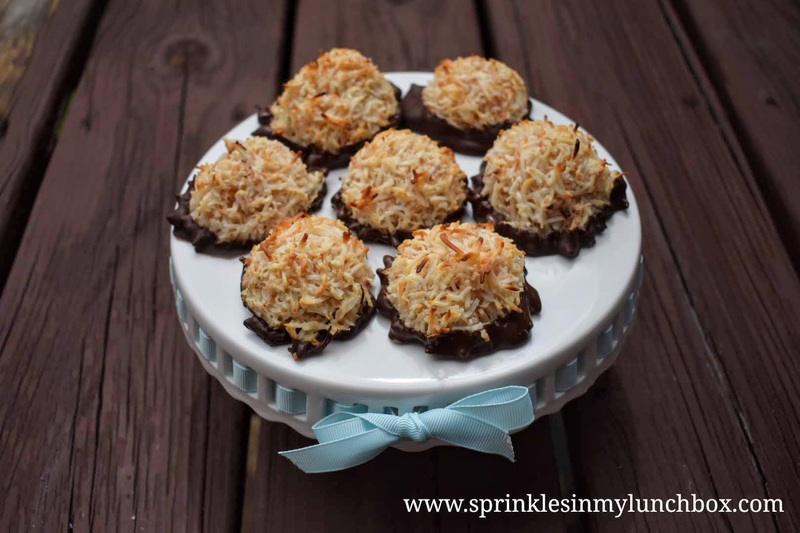 The dried fruit made them subtly sweet and the chocolate coating just made them. 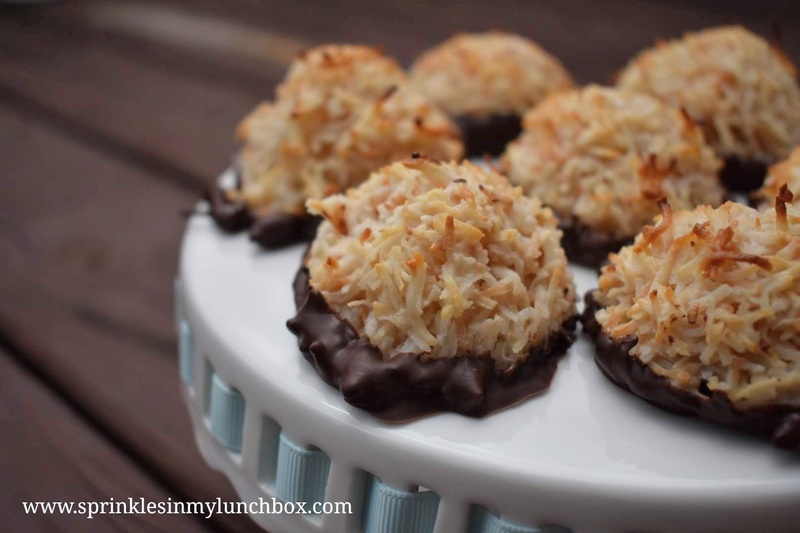 Chocolate coating makes almost everything. Ask anybody. You can leave the chocolate coating off, if needed. I can barely come up with a situation where a chocolate coating would not be needed. But, know that option exists. Preheat the oven to 350F. Grease a 9X13 inch baking dish. Spread the oats and quinoa on a cookie sheet and toast in preheated oven for 8 minutes. 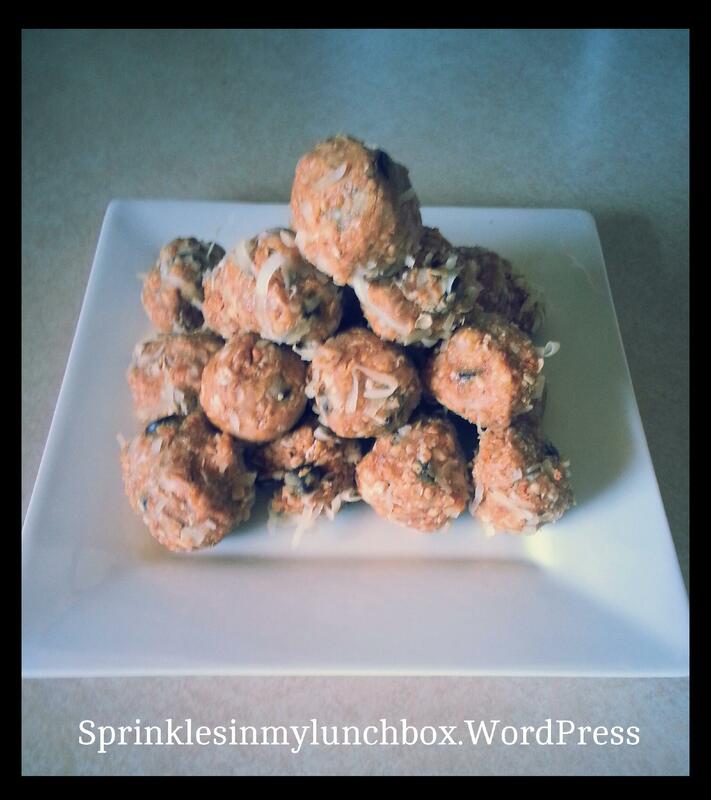 Pour the quinoa and oats mixture into a large bowl and add coconut, nuts, and dried fruit. Mix together. In a medium saucepan, combine salt, peanut butter, honey, oil, and brown sugar. Bring to a boil over medium heat and immediately remove from heat. Add the vanilla extract and mix. Pour over oats mixture and combine until dry ingredients are evenly coated. Pour into baking dish. Press mixture down into pan. Bake for about 15 – 18 minutes. To make the chocolate, mix the chocolate chips and oil together in a bowl. Microwave at 30 second intervals, stirring until melted. Spread over the top of the bars and let them cool/dry. 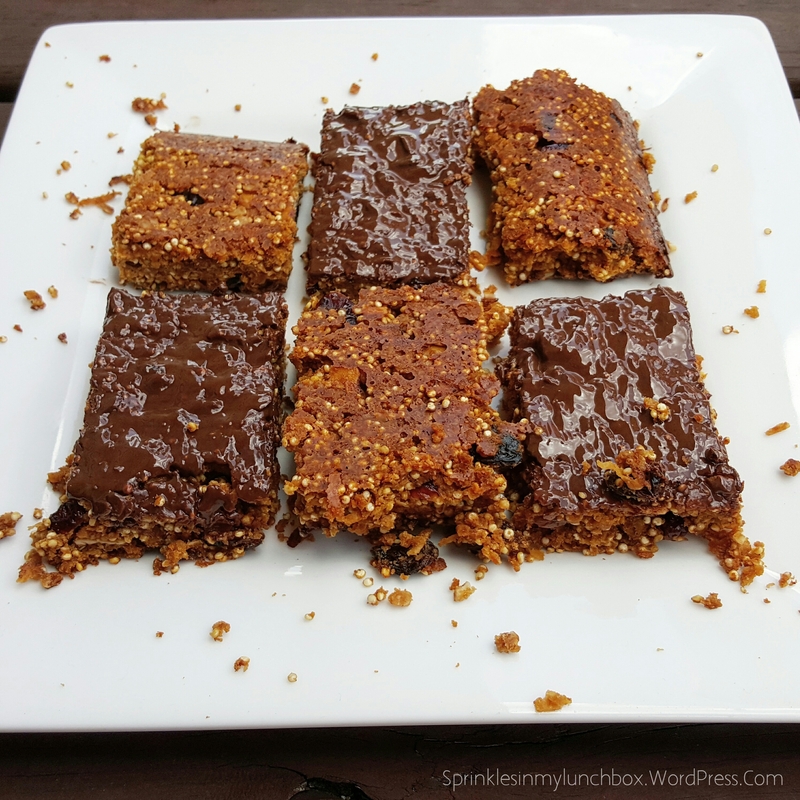 These are a teeny bit crumbly, but are delicious for snacks (after school, maybe? mid-morning? you decide). You could also individually wrap the slices and freeze and pop into a lunchbox. You know how these days are called the “lazy days of summer”? You know that term? Welp. That’s me. Lazy in the bloggy sense. I’ve been cooking and baking and taking pictures and eating, but that’s it. But, I’m here now. When it counts. With a delicious recipe for you. 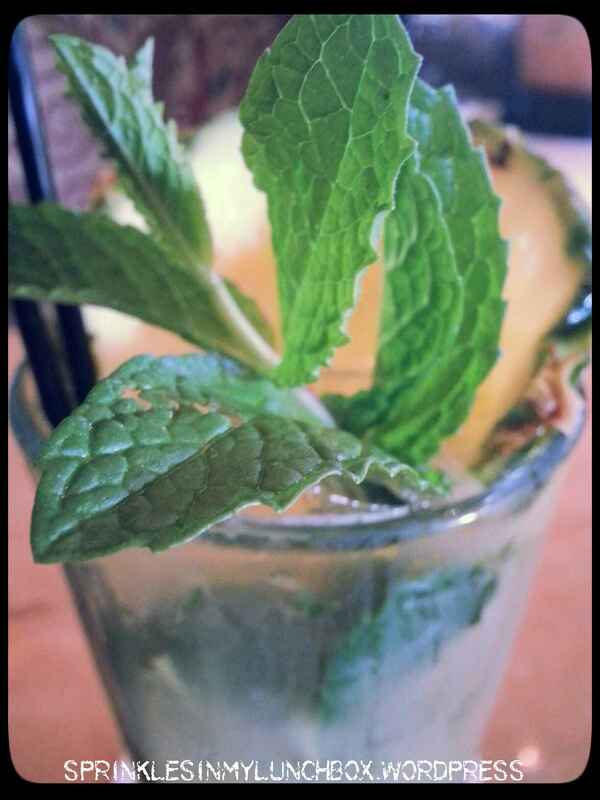 It’s super fresh and summery and I didn’t even wait until the season has passed to share it with you. That should count for something. Brownie points, maybe? Yes, perhaps I deserve a brownie. Get on that. Anywho, this dessert just works. 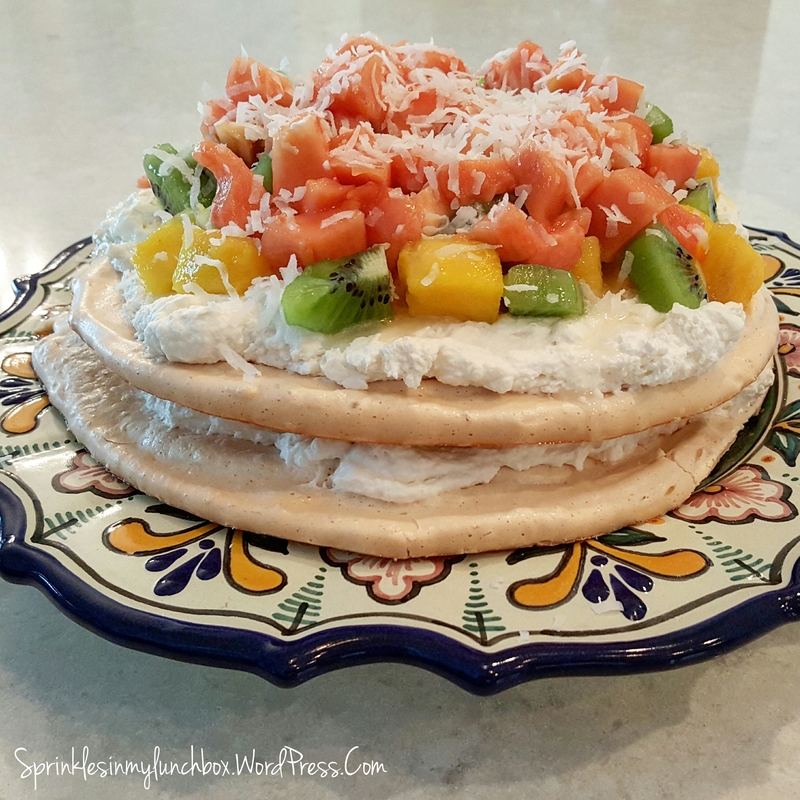 The meringue shells are crunchy and light in flavor, chewy on the inside (in a perfectly stick to your teeth kind of way), the whipped cream is fluffy, and the fruit is so refreshing. It works in the same kind of textural way that Banoffee Pie works. This is also a gluten free dessert. Bonus. This is a picture-perfect dessert for this ridonk hot summer. I will say that it is not delicious as a leftover (source: I’m eating it now). 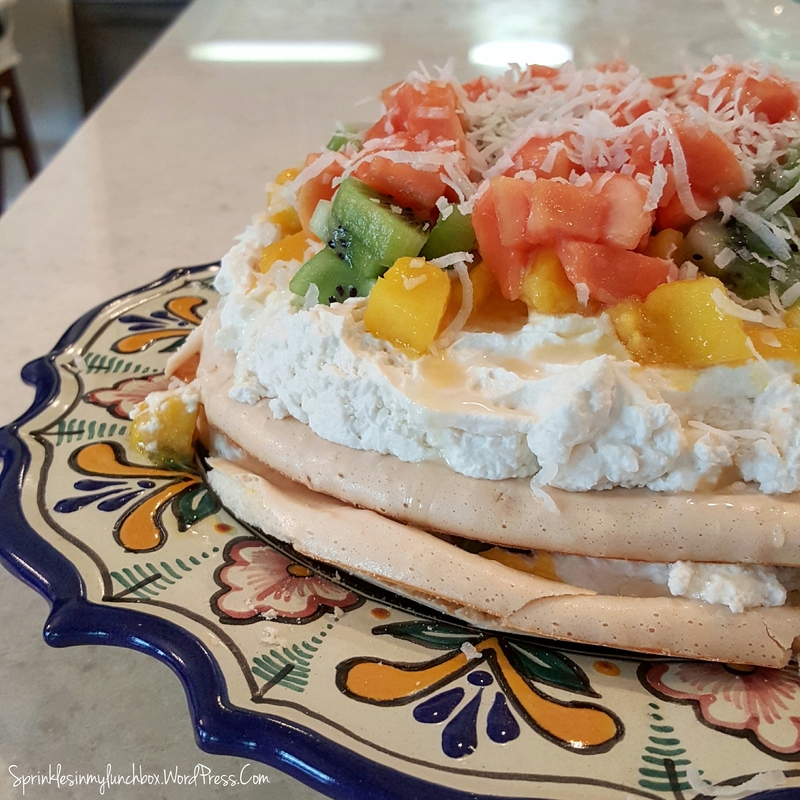 The delicate meringue shell has broken down into a sloppy mess. 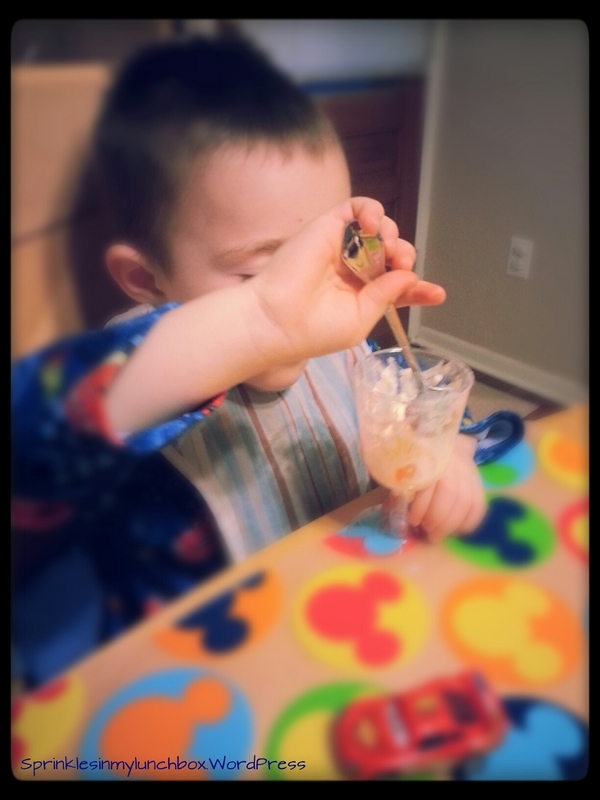 The whipped cream and fruit, however, has remained amazeballs (is that said anymore, I need to know). Make it. Chances are, you’ve got almost all the ingredients in your kitchen now, and if needed, you can switch out the fruit. Adjust your oven rack to the middle and preheat your oven to 200F. Line a baking sheet with parchment paper. Determine what size you want your shells to be and trace two circles in that shape. I did one a little bit bigger than the other. Using a stand mixer and whisk attachment (handheld is also fine), whip egg whites, vanilla, and cream of tartar for one minute on medium speed. Switch to medium high speed and whip for another minute. Gradually add the sugar and whip until the peaks are stiff and glossy (one or two more minutes). Separate the meringue between the two circles on the baking sheet. Spread evenly. Bake for about one and a half hours, and then turn off the oven and let the meringues sit for about two hours. Meanwhile, chop up the fruit and set aside. When meringues are out of the oven, prepare the whipping cream. Pour cream, sugar, and vanilla into a stand mixer (with whisk attachment), and mix for about one minute on medium speed. Increase to high and whip for about three minutes. You can store the whipped cream for up to a week in the refrigerator. Re-whip, if necessary. To assemble, place one meringue shell (the larger, if that’s the route you took) on a serving plate. Spread almost half of the whipped cream on top, followed by almost half of the chopped fruit. 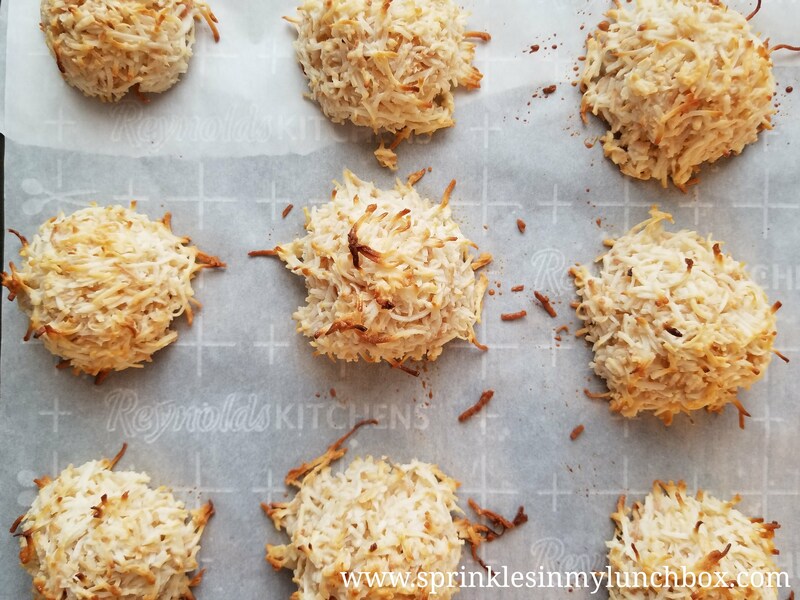 Drizzle the coconut cream and sprinkle some of the shredded coconut. Put the second meringue shell on top of that, and repeat. This was easy to cut into slices. Enjoy! I will be dreaming of this all summer! It’s summertime and the living’s…definitely busier than our school year! The mornings, especially, have been busy. 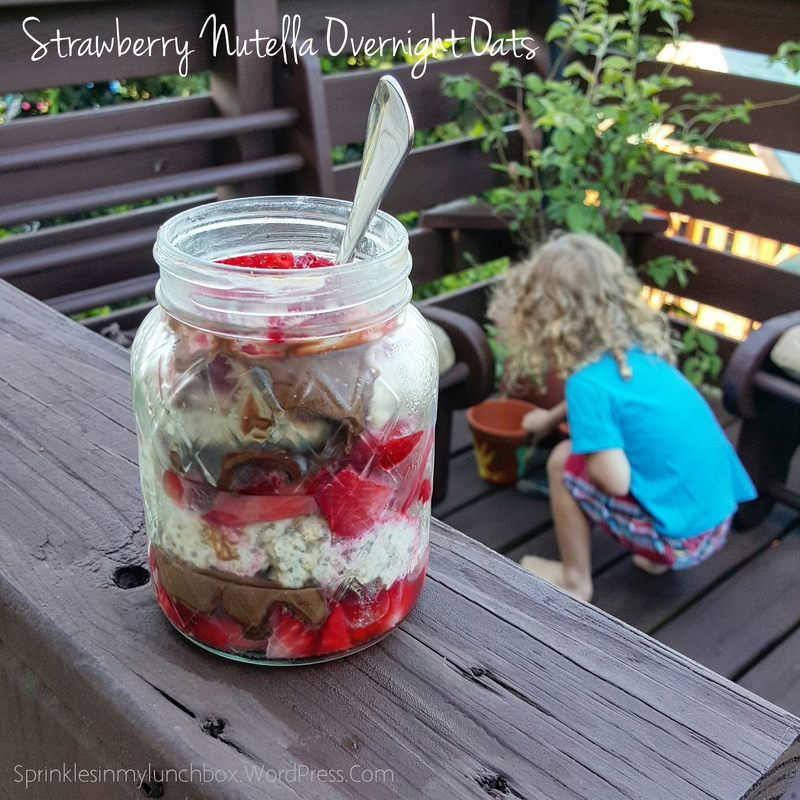 To ease into my early mornings (sidenote: whyyyyy are my kids waking up so early during summer break??? 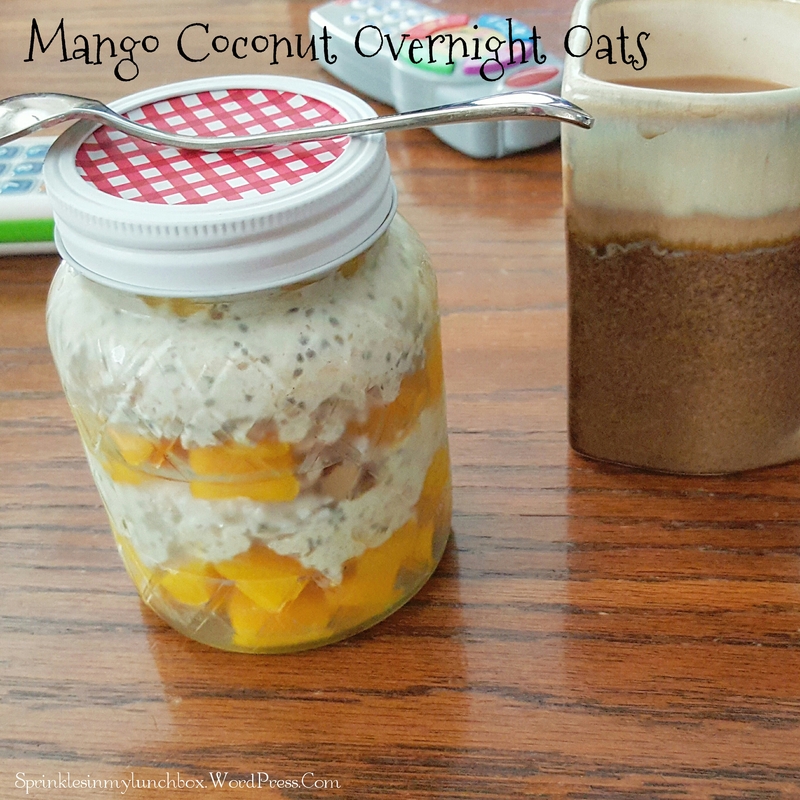 ), I’ve been making overnight oats the night before, so that I might have an already-ready breakfast, that is both really delicious and really filling. It’s been very helpful in getting my day moving. 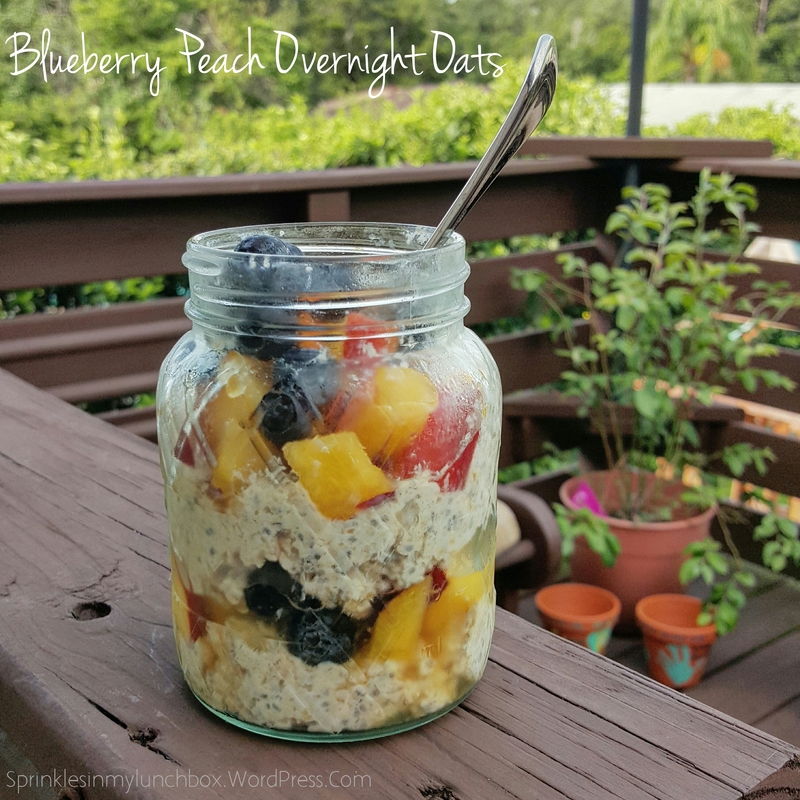 Simply put, overnight oats is (are?) oatmeal, made the night before (or at the very least, an hour before consuming). It is a great time-saving breakfast. Oatmeal is very filling (and high in fiber), and helps me to snack less between breakfast and lunch. 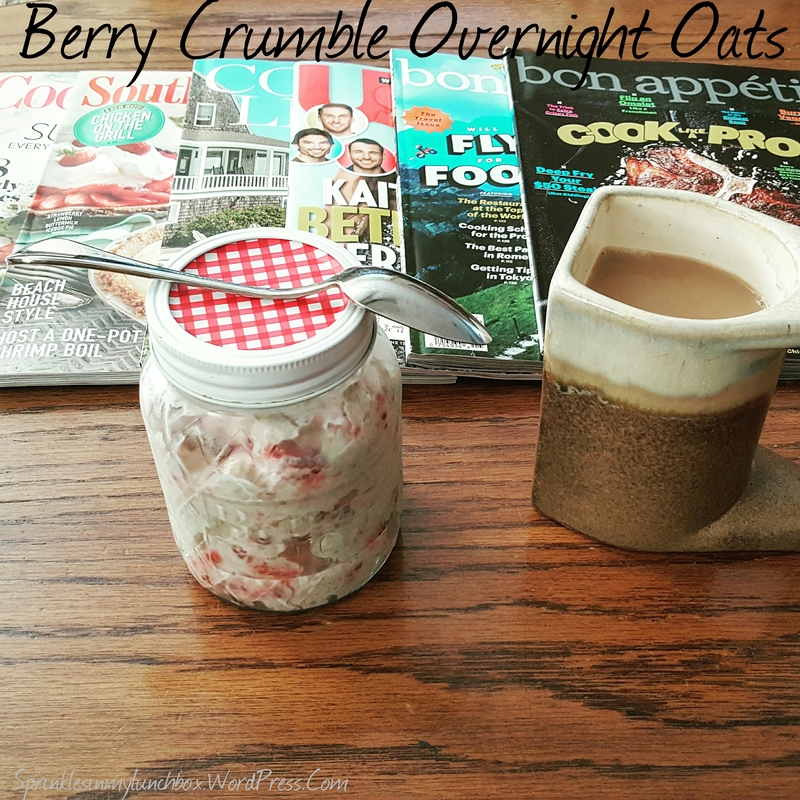 The formula to making overnight oats is very simple – equal part oats and liquids. For my liquid component, I use both unsweetened coconut milk and Greek yogurt. I also like to add chia seeds (high in fiber, protein, antioxidants, and Omega-3 fatty acids) and [golden] ground flaxseed (high in Omega-3 fatty acids, antioxidants, and fiber). The more ground flaxseed I add, I find that I need to add a little more liquid. You can choose whatever toppings you enjoy – fruit, jam, chocolate, coconut, nuts, etc. You can eat it hot or cold. I rather enjoy it cold. Below are some of the delicious flavors I made this week. 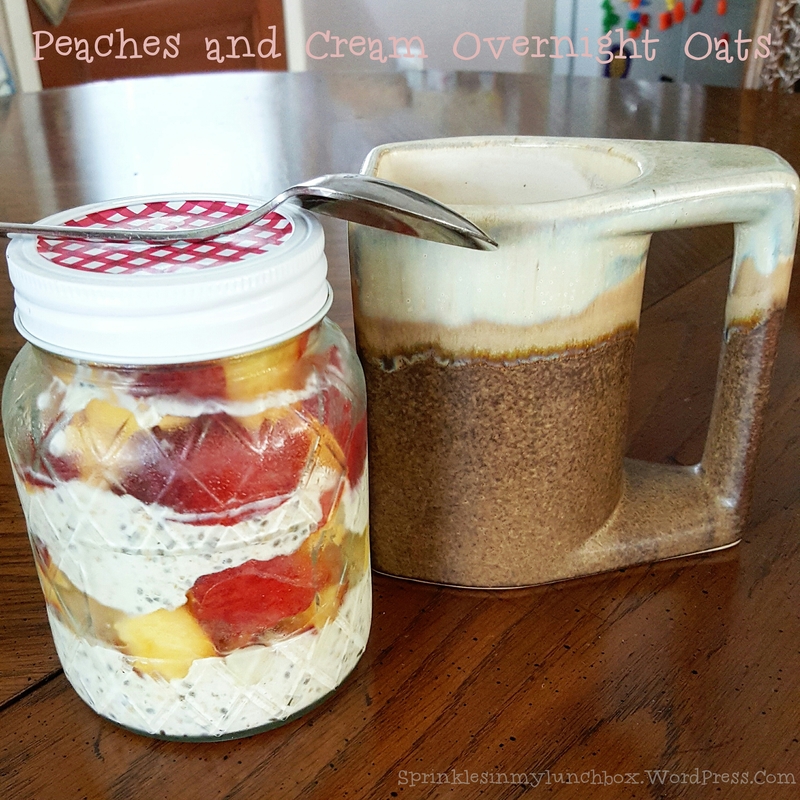 Mix liquids and oats together. Layer with toppings in a container. Store in refrigerator overnight (or for an hour, at the least). We had a great anniversary…because we spent it together. Did we do fun stuff during the day? Ehhh, no. Our little one, Smalls, had an unusually high fever the day before and we’d been treating it. But yesterday, our anniversary, we took him to the doctor’s. It was just too high of a fever. So after two hours of waiting at our Pediatrician’s office, we left with a double ear infection diagnosis. Such a bummer. Pray for him? And to not spread sickness? BUT…we DID go out to an early dinner without the kids. 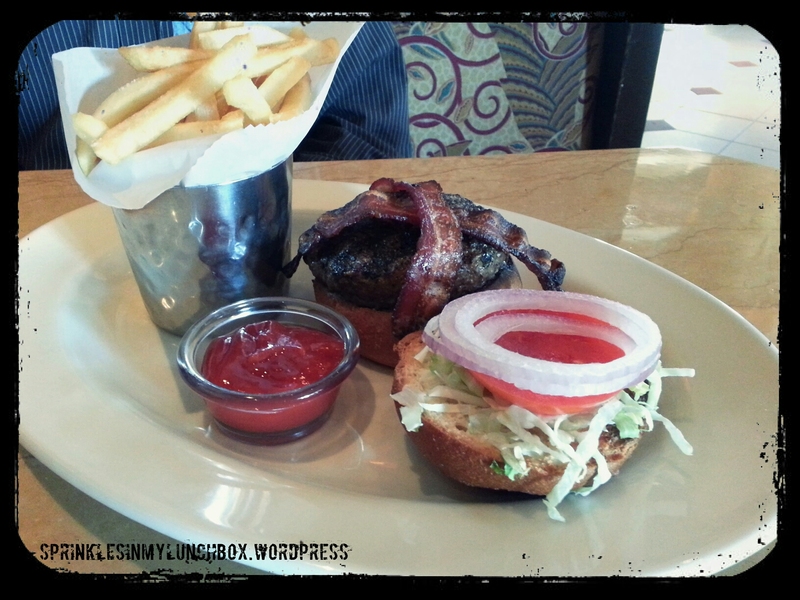 We went to a favorite of ours – Cheesecake Factory! We love that place! And guess what? They have an entire gluten free menu for my husband! 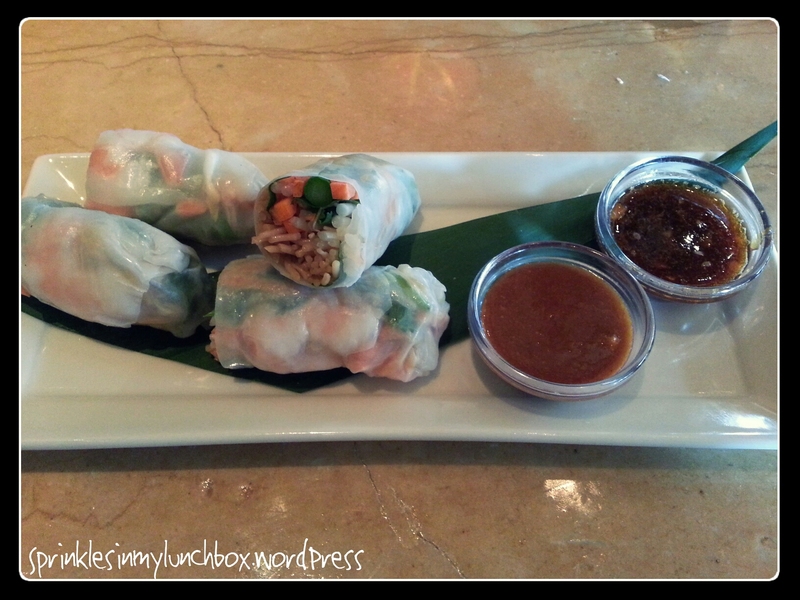 We started off with Shrimp Spring Rolls. We always used to get those when we were dating, so it was nice to have sort of a ‘throw back’. They were delicious. I love the dipping sauces. Once the spring rolls were gone, I used their fabulous bread, simply as a means to scrape more sauce out of the bowls, since licking them in public is frowned upon for some reason. 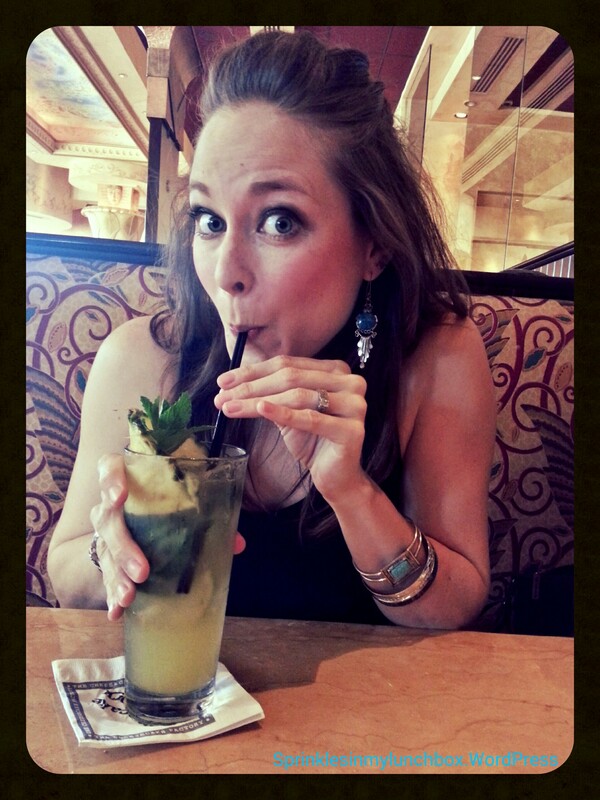 We shared an “adult” beverage, as well – the Pineapple Mojito! YUM! It was gorgeous! I’d not had that drink there before. 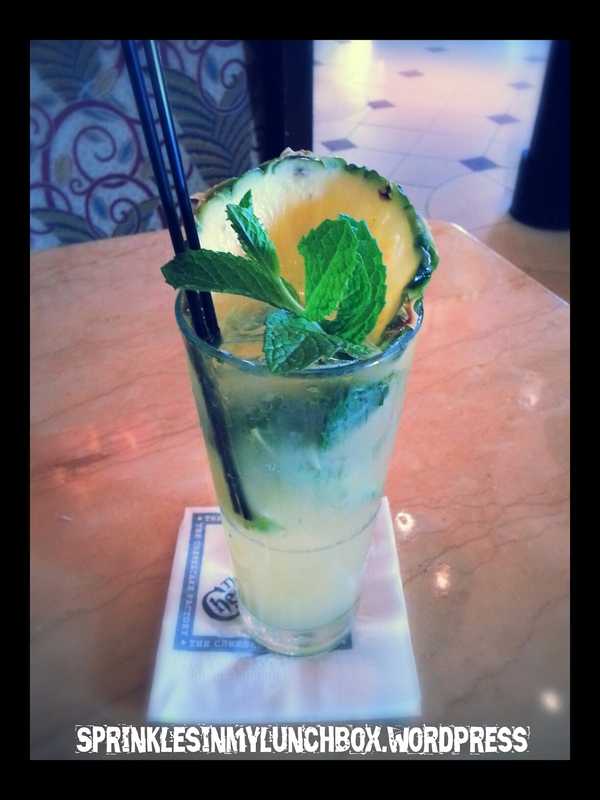 I love how the aesthetics of it were just as beautiful as the flavor. And mint is one of my two favorite herbs (tied with cilantro). YUM. I ordered the Luau Salad. I love ALL their salads, but I was feeling…tropical this time. No matter what salad I get there, I ALWAYS order a side of their house-made ranch dressing. I am sort of a ranch snob. I can pick out a store-bought bottled dressing anywhere. So. I URGE you to get their ranch. To dip your bread in, as well. With and without ranch. SO much better. Their ranch is a good accompaniment to any of their other dressings, as well. Enough about their ranch, or they’re going to have to start paying me. Husband ordered a hamburger off of their GF menu. It was one of the best burgers he’d (and me!) ever had. It was juicy and with the addition of bacon, the cheese wasn’t really missed. It was nice for him to have a meal that didn’t make him wish he wasn’t dairy or gluten free. 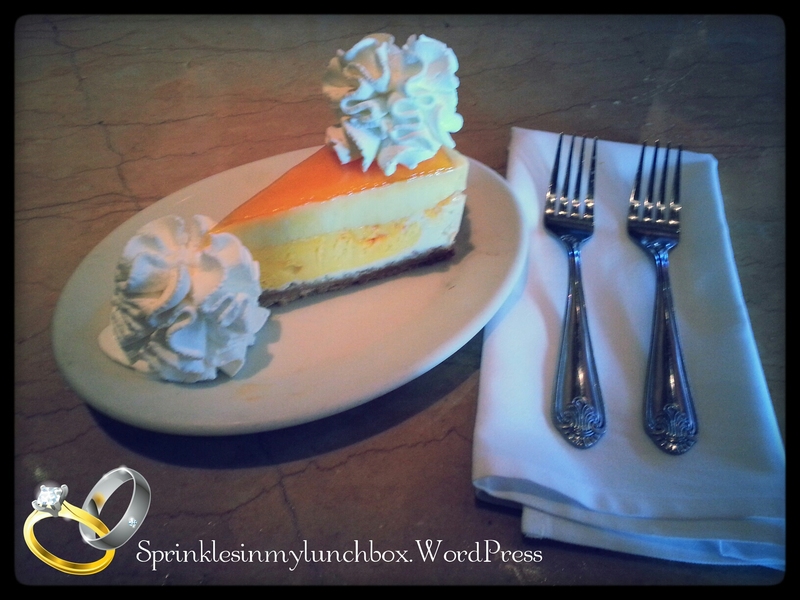 …when I ordered the Mango Key Lime Cheesecake. YUM YUM YUM. I am eating the leftovers as I type this now. It was the perfect end to a celebration of five wonderful years. 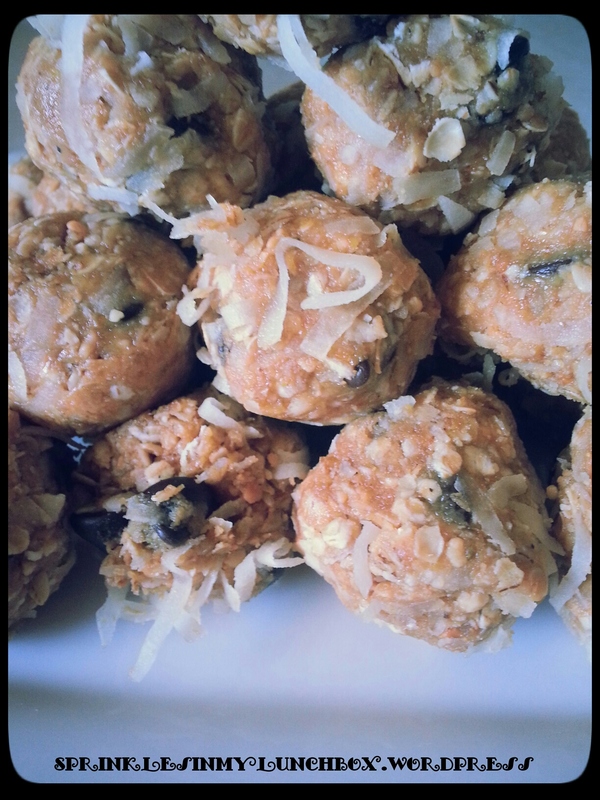 I made yummy Oat Energy Balls! SUCH an easy recipe. 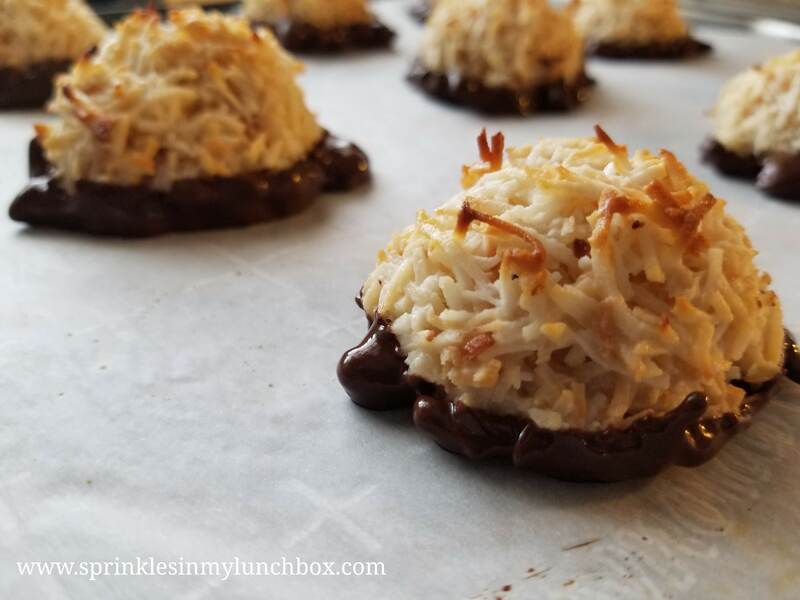 A friend of mine posted the recipe on FB and it reminded me to make them. 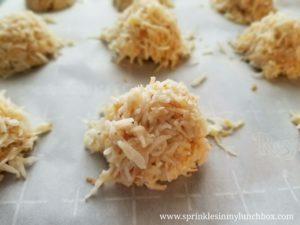 They are so easy, delicious, and HEALTHY! I also added about 1/3 C shredded coconut. 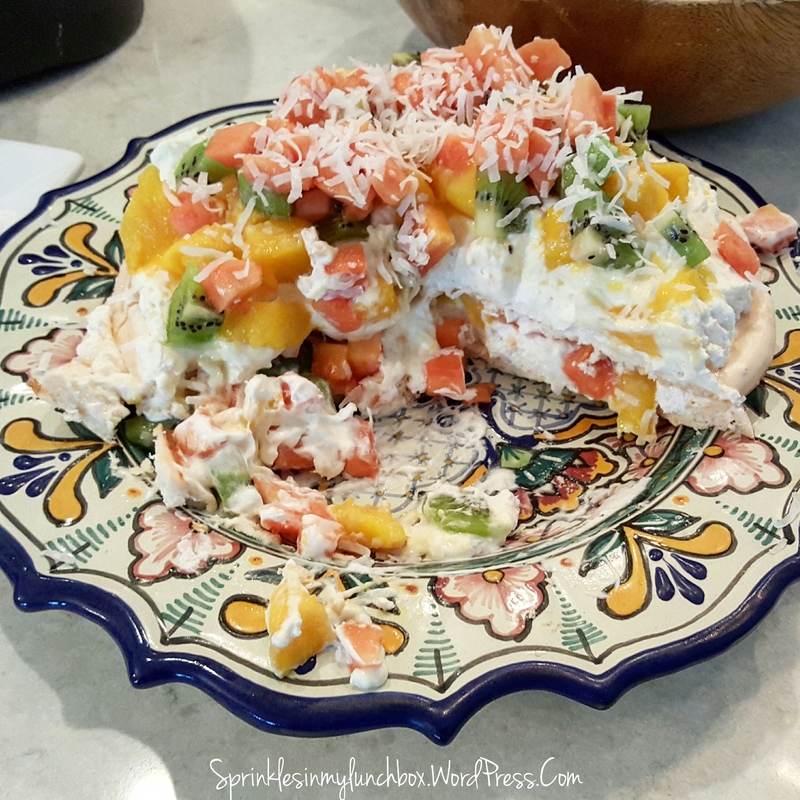 You mix all the ingredients together in a bowl and place in the fridge for about 10 or so minutes. 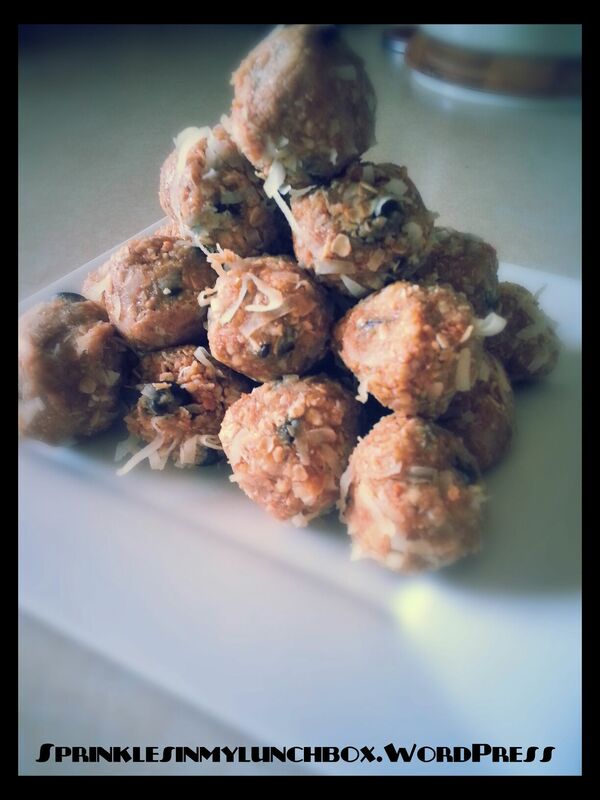 Then you roll them into balls and keep in the fridge for about a week. My husband can’t keep his hands off of them. And I’ve been putting them in Bigs’ lunchbox for snacks. Try them! 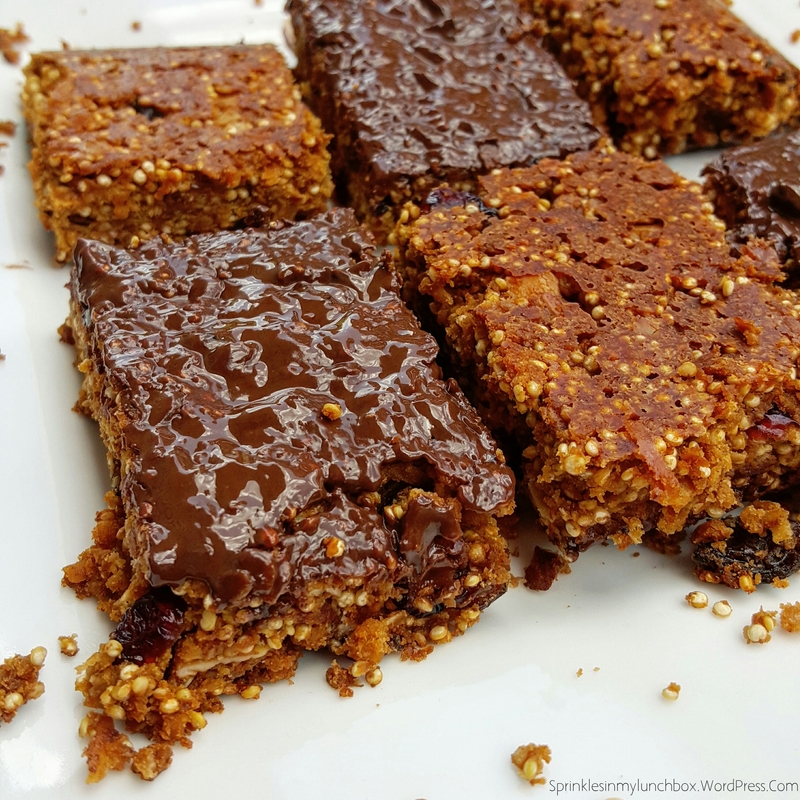 You can almost put anything in them, as long as the protein and sticky components are there. 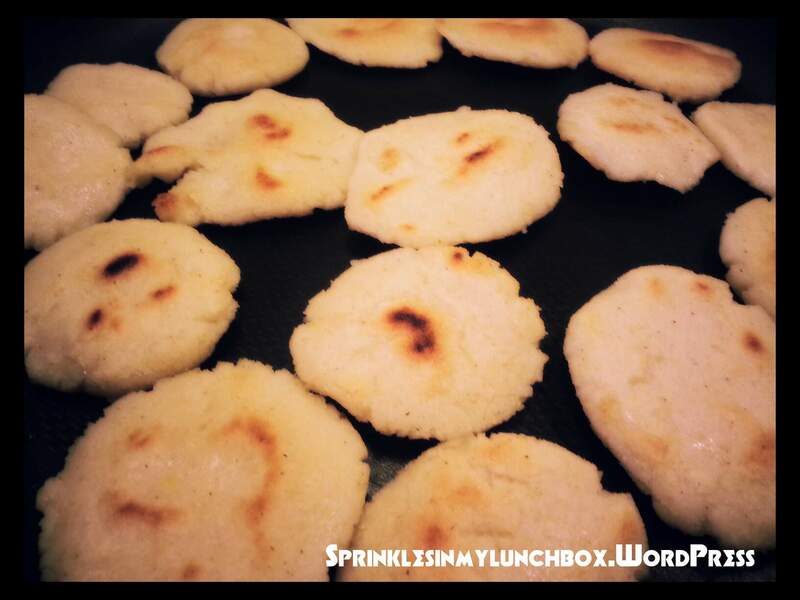 I also made arepas. Have you had those? Nothing beats an arepa straight off the flat top grill from an outside cart in Miami, but hey, we aren’t there, so I make my own. Unfortunately for my DF husband, no cheese (no GOOD cheese) is allowed on these, but they were still so good! 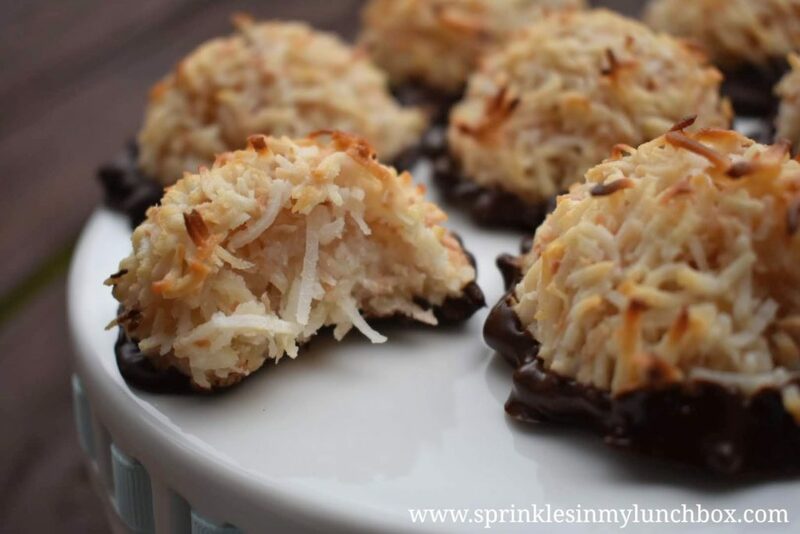 They remind me of my in-Heaven Southern Grandma’s hoe cakes. These are the Latin version. 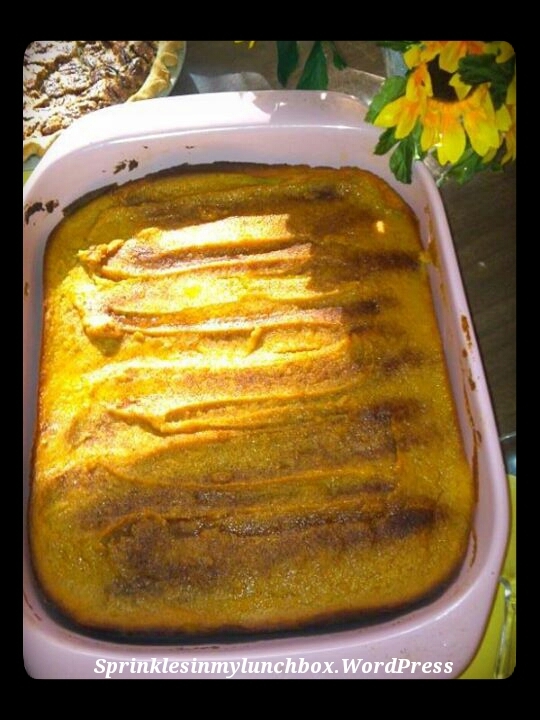 I used Harina PAN cornmeal. 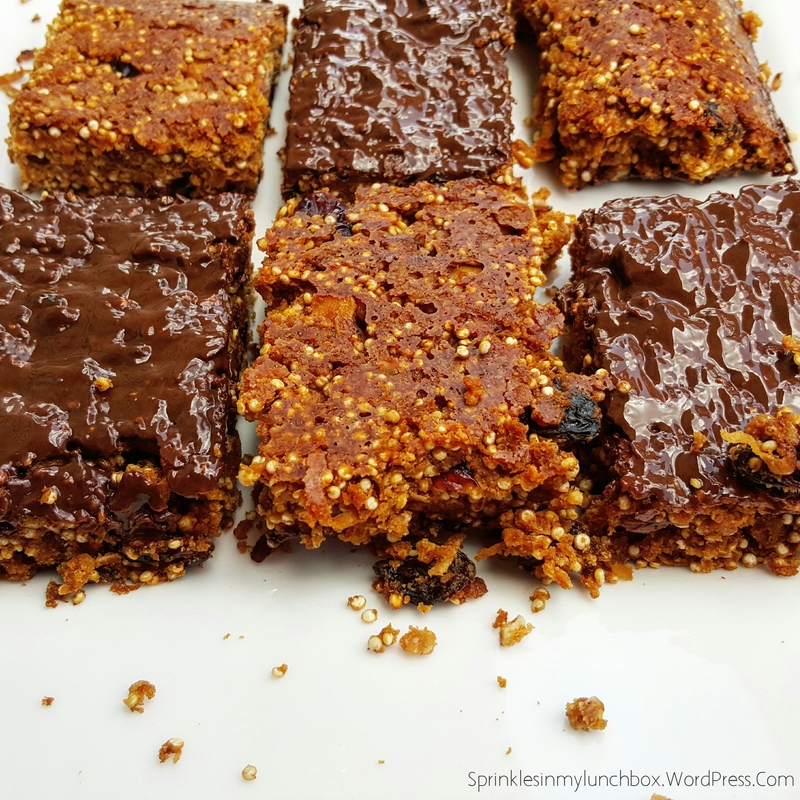 Super easy – recipe on back. Nothing fancy. Hmm, I think that’s it for now. So, how has your New Year been treating you so far? I’ve discovered (via friend and styling medias), dry shampoo. It’s sort of the answer to some of my dreams. The dreams of sprucing up this under-showered Mommy. And we’ve been busy. I’ve been terribly busy today catching up on emails (they get dreadfully behind so easily…not that I am that popular, but it does take some catching up) and I had two weeks’ worth of laundry. Yuck. I can’t stand laundry. I started it at 6:30am and as I sit here writing this, at night, I still have huge (clean), folded piles sitting on the dining room table. Mocking me. I am already over it. The house was in complete disarray today, every single toy out. The boys were pink-cheeked from running around the house so much. Suffice it to say, I was certifiably insane by nap time. And maybe refreshed a little afterwards, but still insane. The boys started off the day very peacefully. 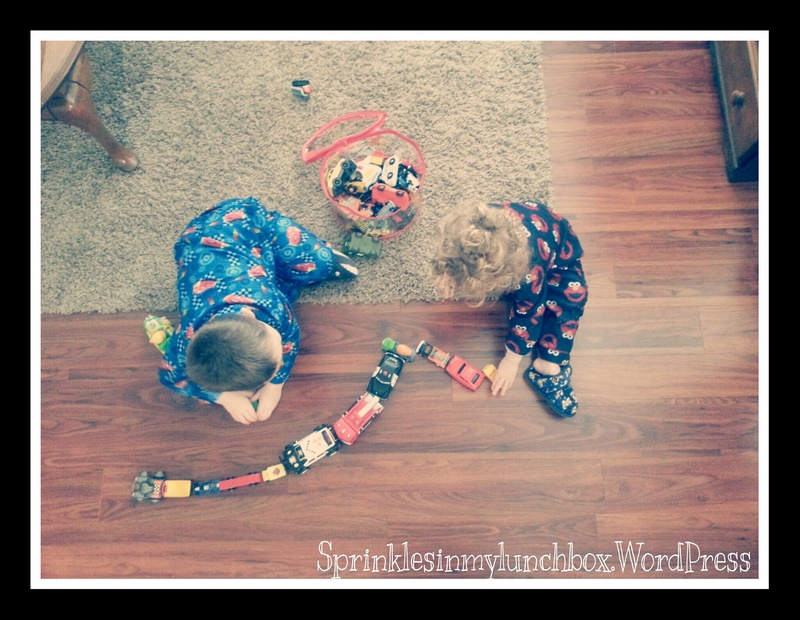 I made them breakfast and they, adorably, played with cars while eating. Bigs and his dump truck. And his cereal. 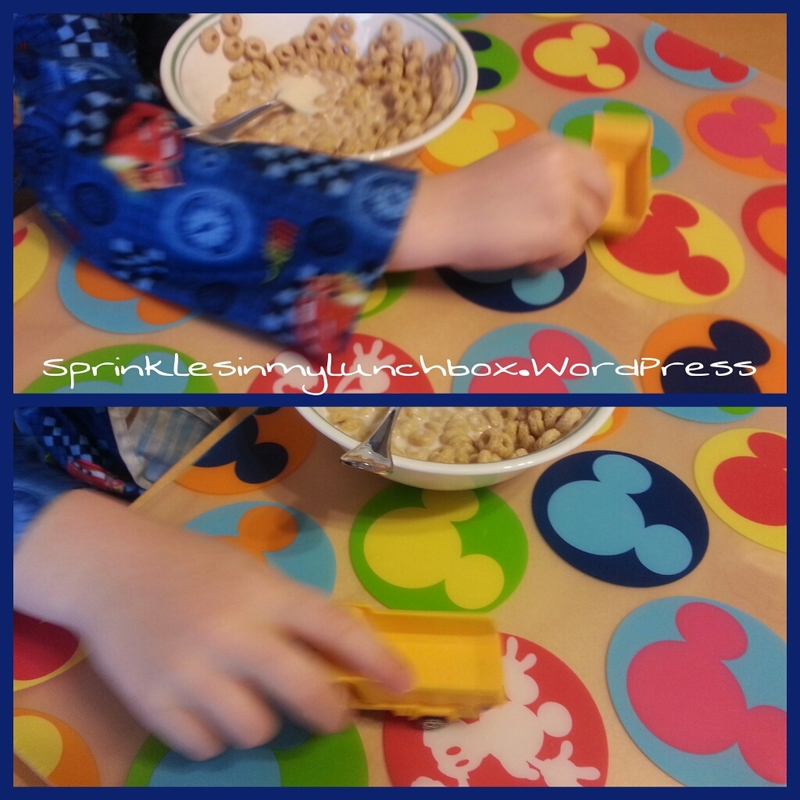 Smalls and his dump truck digger pusher thing IN his cereal. It was a very, very cold morning and day. The sort where you love staying inside and wearing your jammies and slippers all day. Which we did. 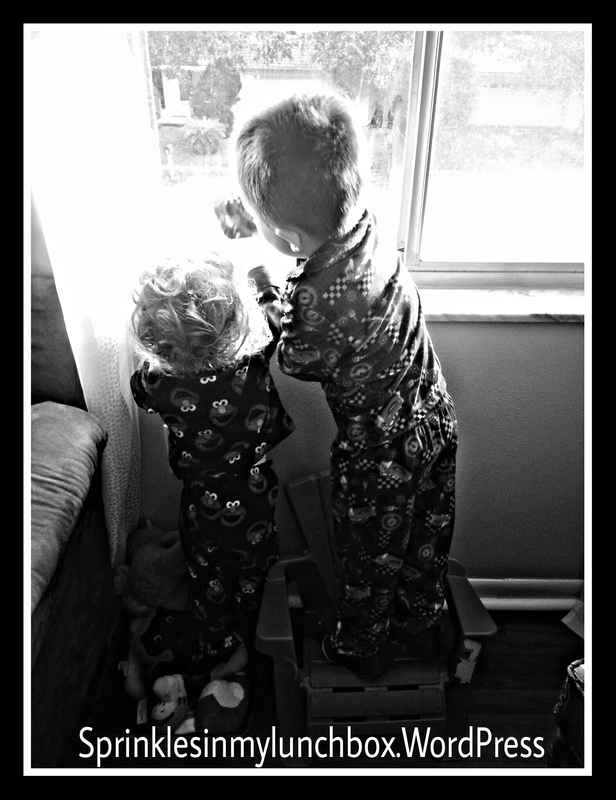 The boys, still peaceful, played cars and trains for what seemed like forever. I enjoyed a cup of coffee (or three) in my new mug from a friend (the sunflower thing on the top is this neat little suction thing that keeps your drink warm – from my Mom-in-law and I love it). 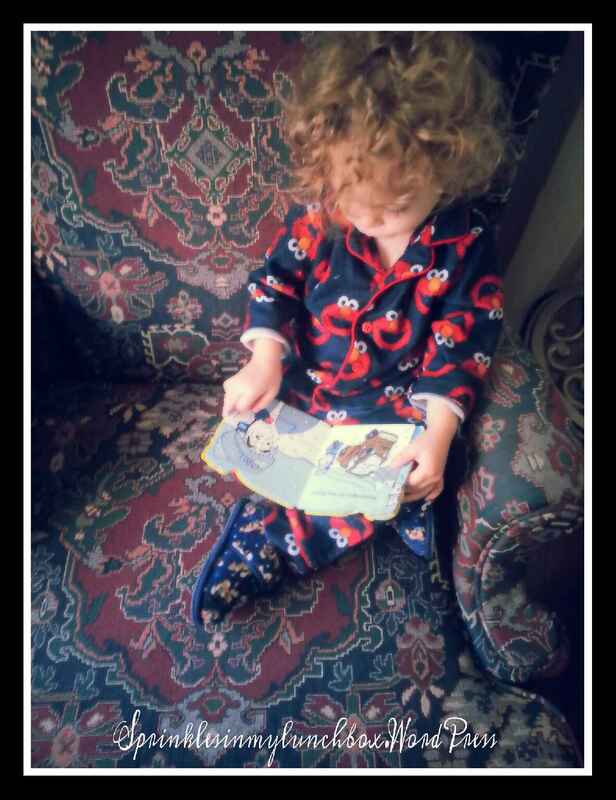 Smalls enjoyed catching up on books from his reading list. Both boys drew pictures and made squeaky noises with their fingers on the condensation-covered front window (Bigs standing on a chair and Smalls standing in my dog’s toy basket). Life seemed peaceful. All was right in the world. We were in our warm, little cocoon safe from the world’s troubles and frigidity. I don’t know if Santa didn’t bring them enough things to do, or they read every book (they seemingly have hundreds) they own, but cabin fever set in for them by lunchtime, which incidentally, that was about the time where every toy in life that these boys have were pulled out and scattered all over the house, as if a toy and book store exploded and I was pulling out my hair. <<Whiny voice>> It’s just so haaaaaaard, waaaaaah! 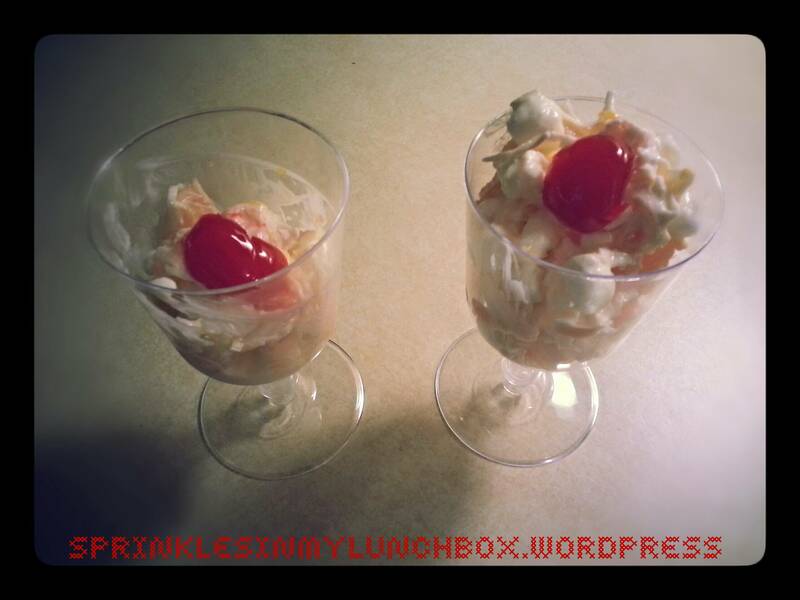 I made a pretend ambrosia salad. I’d have preferred a real one, but naturally, did not have all the necessary ingredients. I had also planned on a tropical cous cous salad for lunch, but also lacked ingredients for that as well. Sigh. Tomorrow’s a new day. 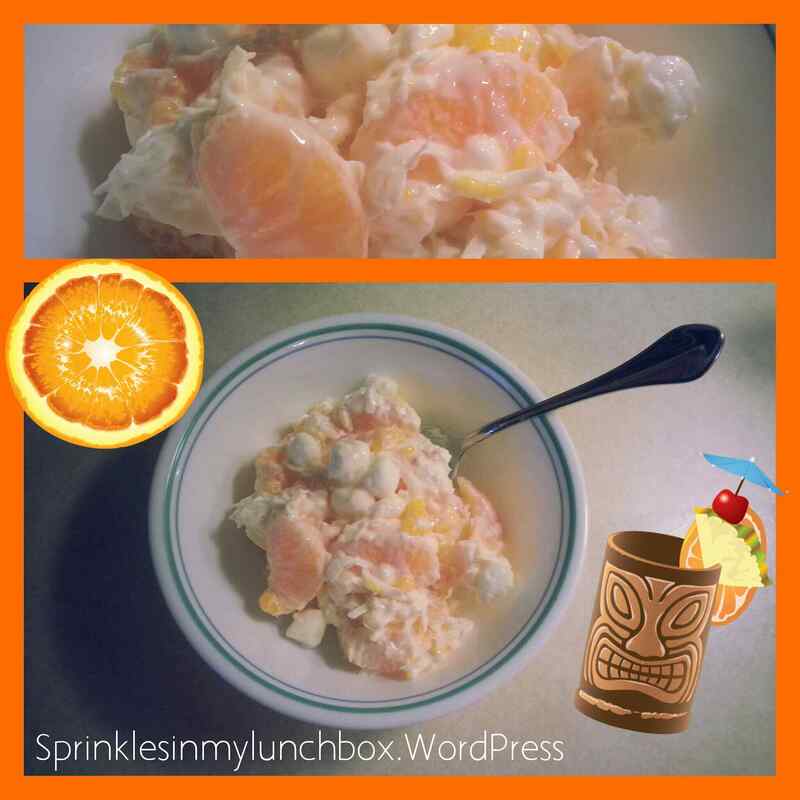 I love ambrosia salad (the kind with marshmallows in it). 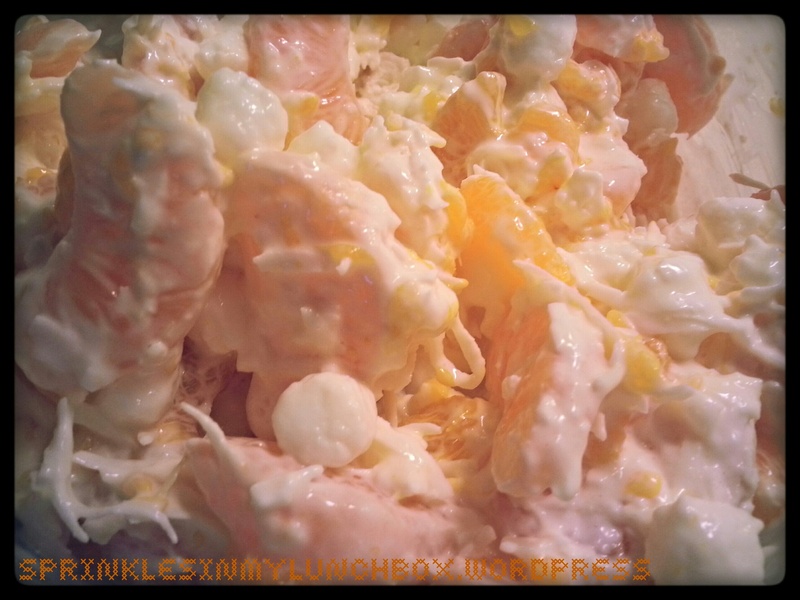 I love how the sour cream and the acid from the pineapple mix together to break down the sugars in the marshmallows, making a creamy sort of sauce. Well, I didn’t have pineapple. Not fresh, not frozen, not canned. So. I used both fresh clementines segments and canned mandarin oranges. It was quite…orangey. I also used sour cream, shredded coconut and marshmallows. I didn’t follow any directions or measurements. Should have (lol). Desserts and sides I can do (usually). But lately, I’ve been in a real pickle with cooking dinners. I have the occasional good ones, but with my husband’s newly gluten-free and dairy-free diet (due to his Crohn’s), I’ve been a little overwhelmed. I never know if I should switch us all over to GF & DF (which for some things, I’m not okay giving up completely and also our grocery bill will go significantly up) or if I should cook two different meals or if I should have him sort of pick what he wants and have a go himself. Tonight, despite having a lack of energy, I sort of made two meals. 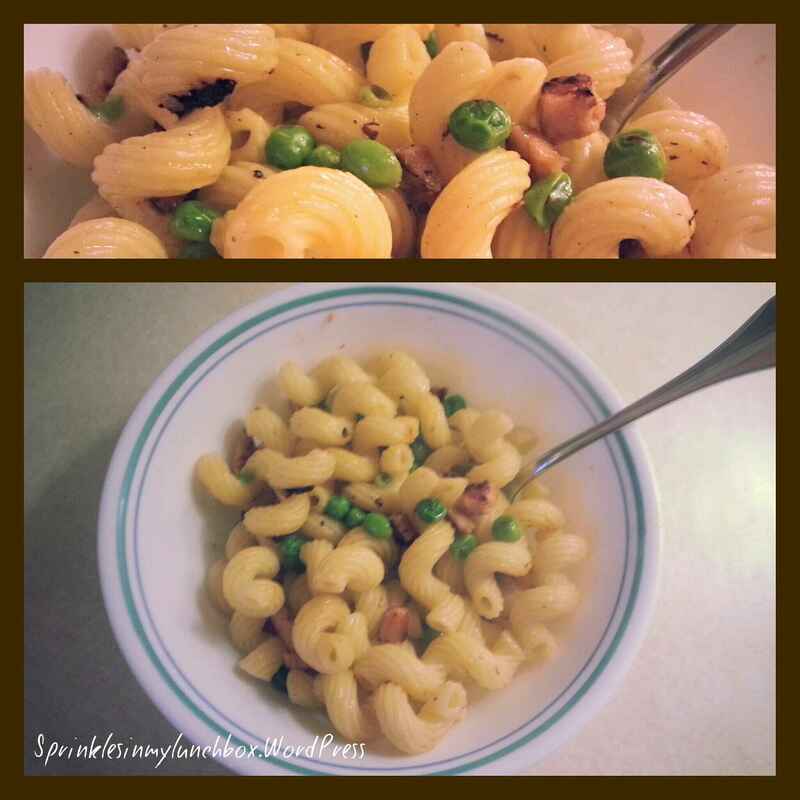 I made a ham and pea pasta and used GF pasta for my husband. I cubed some ham (from a previous meal) and browned it in a pan with olive oil and fresh garlic. 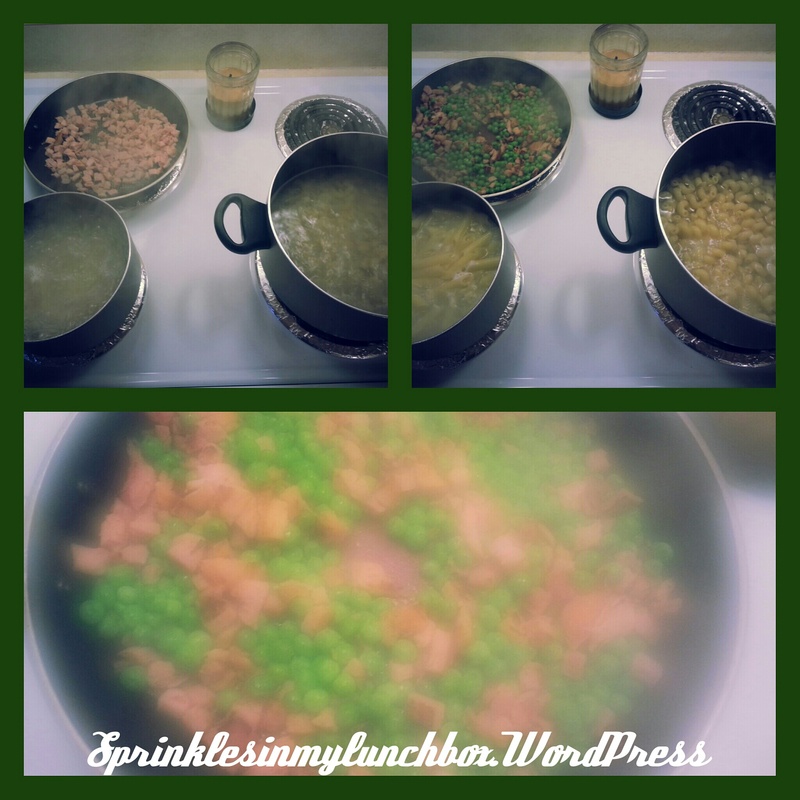 I added some peas and cooking wine and reduced. I put some in with his GF pasta and then the rest in ours. The bottom picture is the steamy ham and pea mixture. It was decent. I added tumeric to Hubs’. It’s a spice that is known to alleviate internal inflammation (a side effect of Crohn’s). 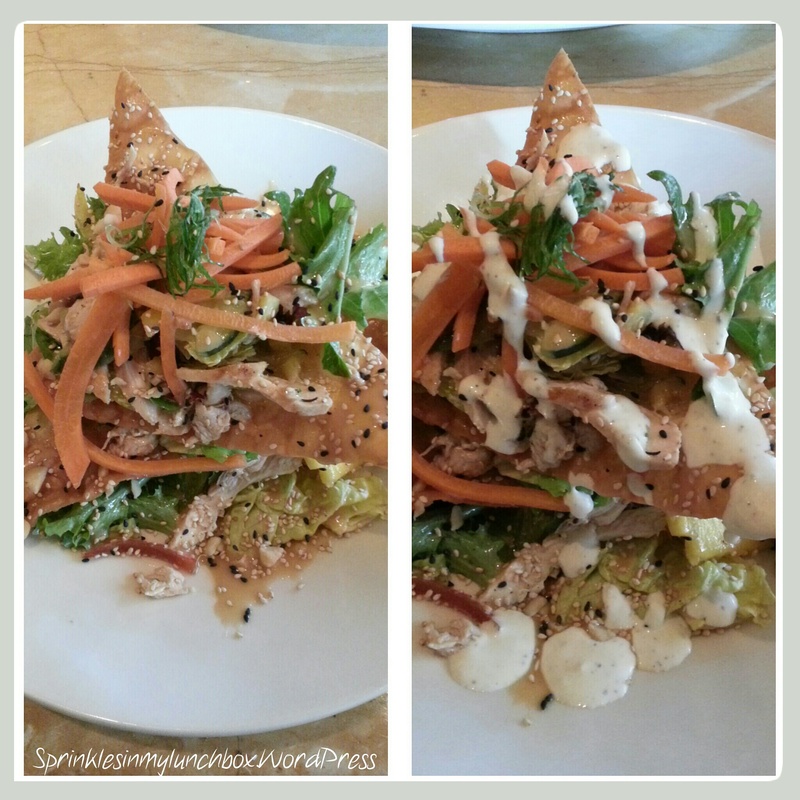 I’d rather have eaten this vegetarian salad from a new local eatery that I enjoyed yesterday. It was really good. 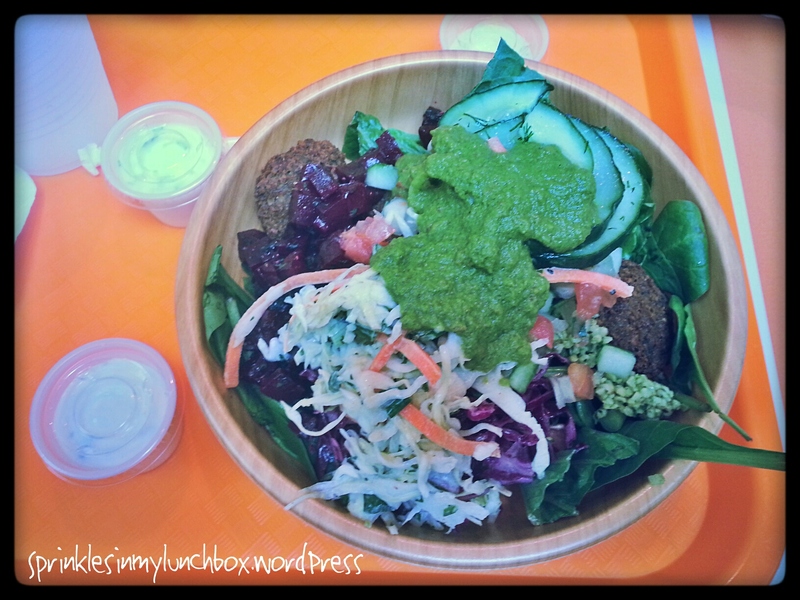 It was greens with falafel and a lot of other Mediterranean salads on top. I had it with a yogurt sauce, garlic sauce and tahini. And topped with a cilantro sauce. I want more. It was really heavenly. It is such a shame I am stuck with my own cooking. 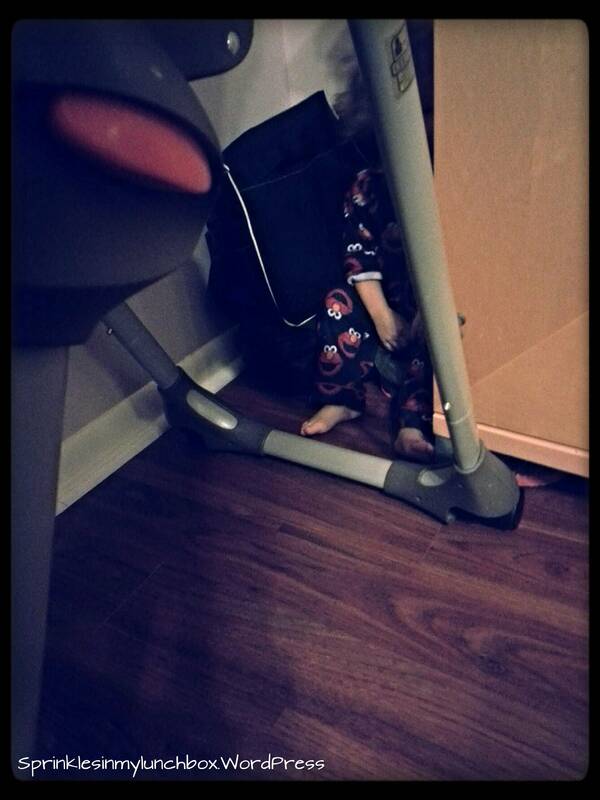 Anyways, while we ate, Smalls ran around (he only will stay in his high chair for 2 minutes MAX and then scream like a banshee and worm his way out of the straps, soooooo what’s the point of torturing all of us? I’ve found he eats more when not trapped. 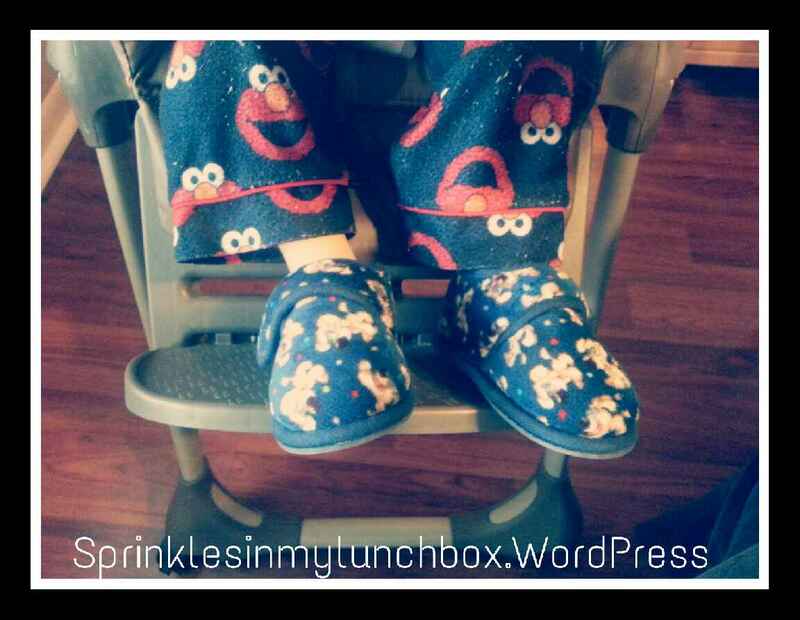 ), standing on my feet (had my legs crossed). He balanced on my crossed foot and got all up on the table. This kid is nuts. He also played peekaboo. Has anyone seen Smalls?? Such a goofball. 🙂 I love how he “hides”. And Bigs ate all his noodles because he was promised that ambrosial dessert if he did. I am all for negotiations if needed. Sue me. At least dessert was half fruit. Look at these little wonders. They were…um…a little less than decent. 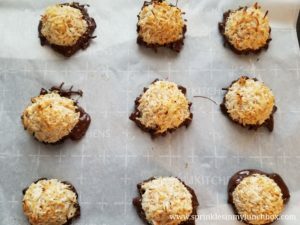 The marshmallows were able to break down a little, but the pineapple flavor was clearly missing (in my opinion) and for some reason the coconut was hard. Not quite the ambrosial effect I was hoping for. Whatever. It still looked pretty. I might pick out all the marshmallows and then I won’t have to chalk it up to a complete loss. Because he had marshmallows, Bigs went a little berserk. Coo-coo bananas running all over the house. Sigh. 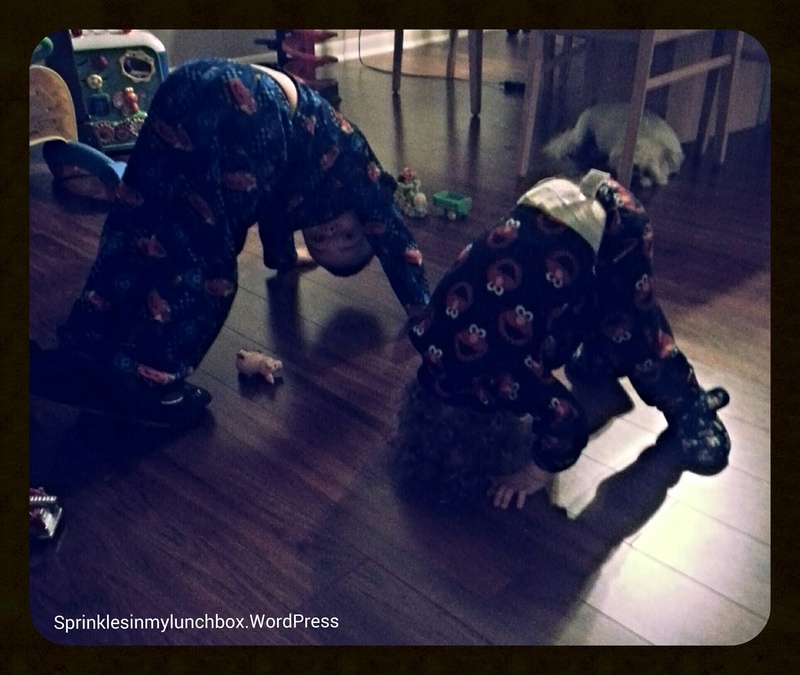 The night ended with the boys doing downward dogs (my poor pup safely out of the way). I hope your day was more/less exciting than mine and definitely less chaotic. Off to put laundry away. Waaaaaaaah. We did it! We decorated for Christmas. We always do it the week of Thanksgiving since we travel on the day of and want our home to be Christmas-y upon our return. Bigs was SO excited! This will be a fun year with him. He “gets” it. 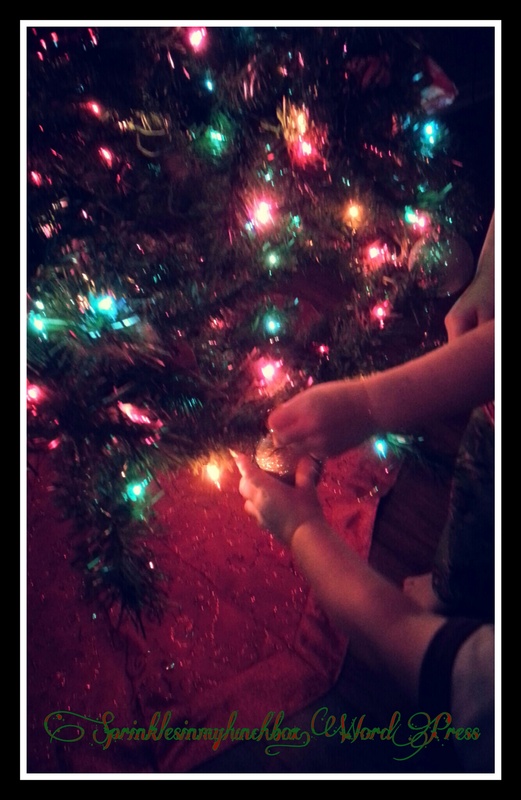 Smalls, however, is just a typical one year old, plucking the Christmas balls off the tree, yelling, “BALL, BALL!! !”, and throwing them as hard as he can (and he’s freakishly strong) across the living room. I normally put a smaller tree up, as well, that is my “Sweets Tree”, where I put on only dessert and sweets themed ornaments. That one is, sadly, not up this year. I just don’t have the energy to watch Smalls around two trees. I have extra eyes on the back of my head to watch them, but they just aren’t enough. Perhaps next year. Bigs was very concerned that the Christmas tree would go away while he napped, while we were away for Thanksgiving and for any other event requiring us to leave the house. Which is a lot. Object permanence isn’t as ingrained as I’d thought. But that will make it more magical and more fun to show him as we get closer to the day. And for him, it’ll be like Groundhog Day, every morning! The tree will still be there, just like yesterday! 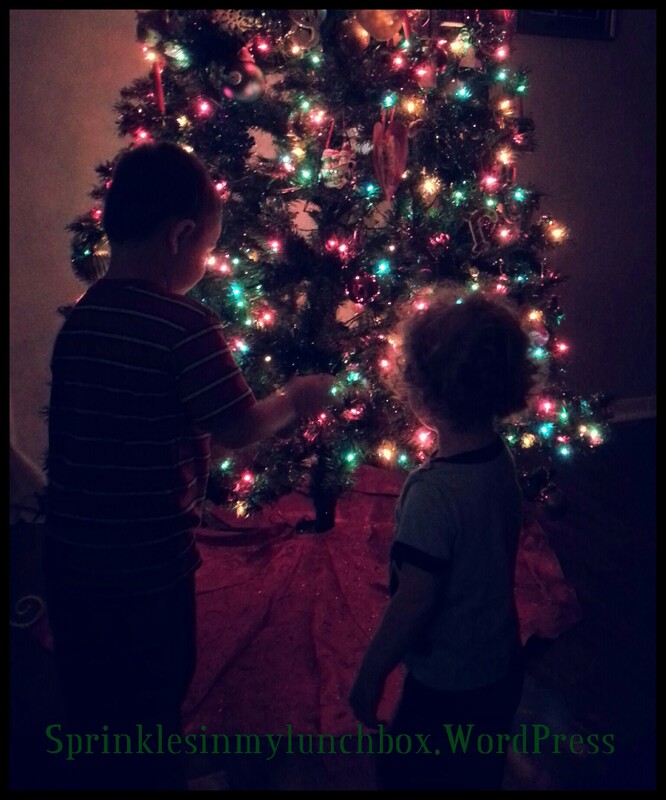 It is just so wonderful to see this holiday through the eyes of a child. I know that is clichéd (I am shaking my own head at my own self right now), but it truly is. I just love that skinny little baby arm and hand (left), and that sweet toddler hand (right) coming together on an ornament, placing it on the tree in tandem. I am so in love with them. 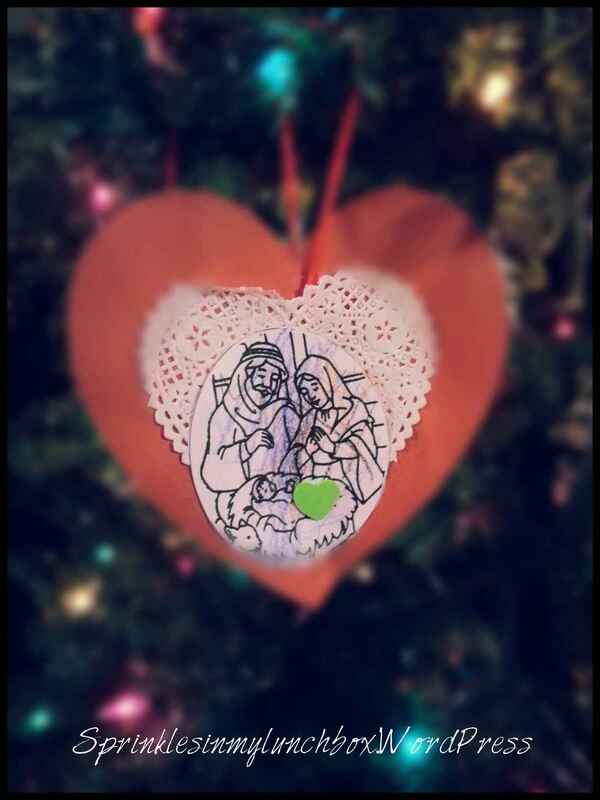 This is the first ornament Bigs made in church last year. I am only slightly concerned because it’s made of paper and you know, light-heat and paper don’t so much mix, but it was too precious not to put up. I love that he constantly sees the images of Mary and Joseph and Baby Jesus. Seeing it over and over will help him learn and then know, with certainty, the true meaning of Christmas. I am truly blessed and thankful for them and my husband. 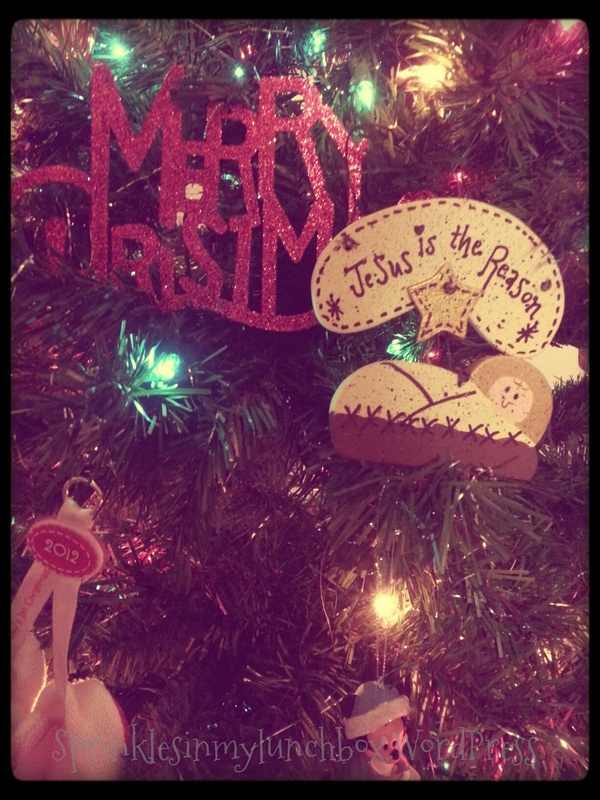 Jesus sure is the Reason for this season. Without Him, none of this would be. And that applies to just about everything. 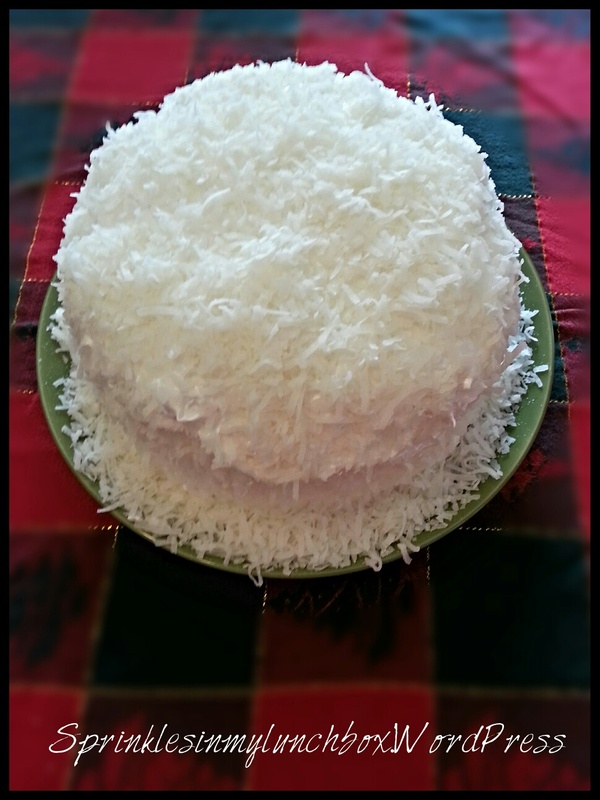 Today I finished making my Coconut Cake. I used a different recipe this year. And as per the usual, I didn’t read the recipe the whole way through before starting on it. That’s how I do. It called for keeping an un-iced, filled cake in the fridge for three days. Luckily, I made the cakes and filling two days before Thanksgiving, so it still worked out. You really think I’d have learned, by now, to read a recipe all the way through before starting on it! The only changes I made to the recipe were that I used sweetened coconut in the filling and used less sugar since it didn’t really specify that the coconut used was sweetened or not. I also added about a half teaspoon of coconut flavored baking emulsion to really enhance that coconut flavor. 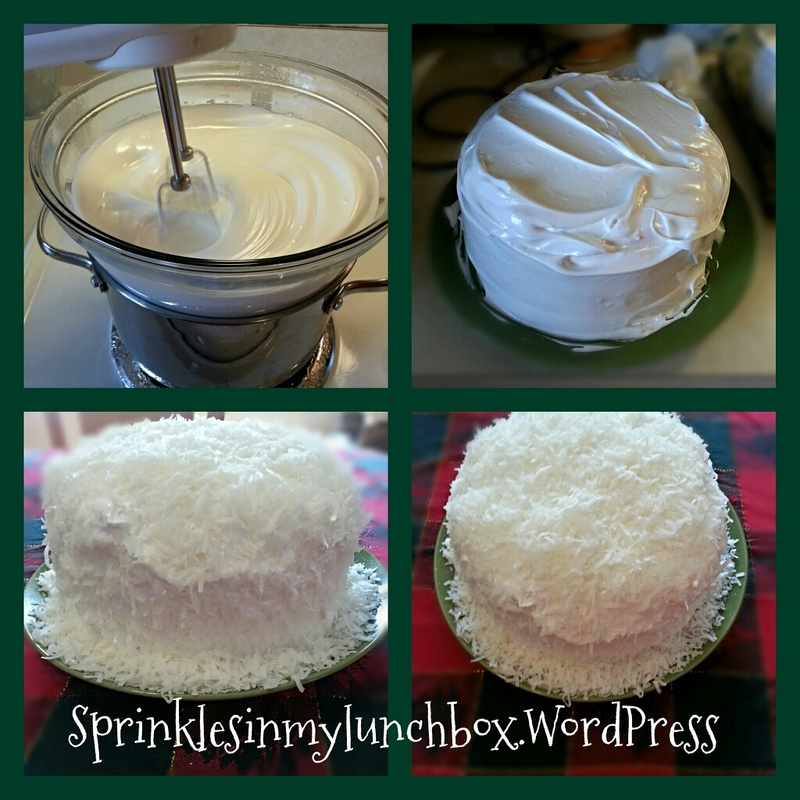 I love how when I pat the coconut on the frosting, it falls all around the plate like freshly fallen snow. It’s such a show-stopper of a cake (if I can be so bold to say so – I simply just followed the recipe!). So very festive. I cannot wait to eat that piece as big as my face, that I promise myself each year. 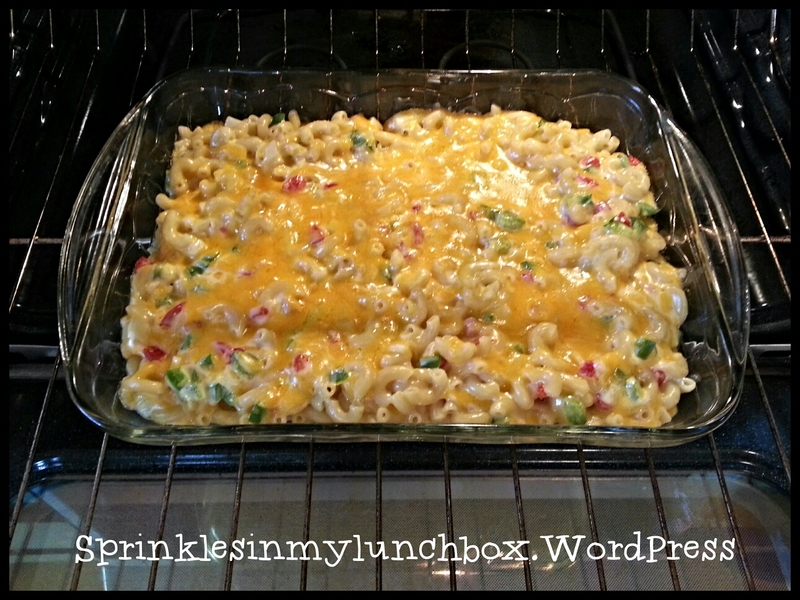 I also got my Aunt Sue’s Macaroni Casserole made. It is a cinch to throw together and is so delicious. Here is the little beauty going in to the oven. And here she is coming out…melty, ooey, gooey, cheesy goodness. I can’t wait to dig into it tomorrow. 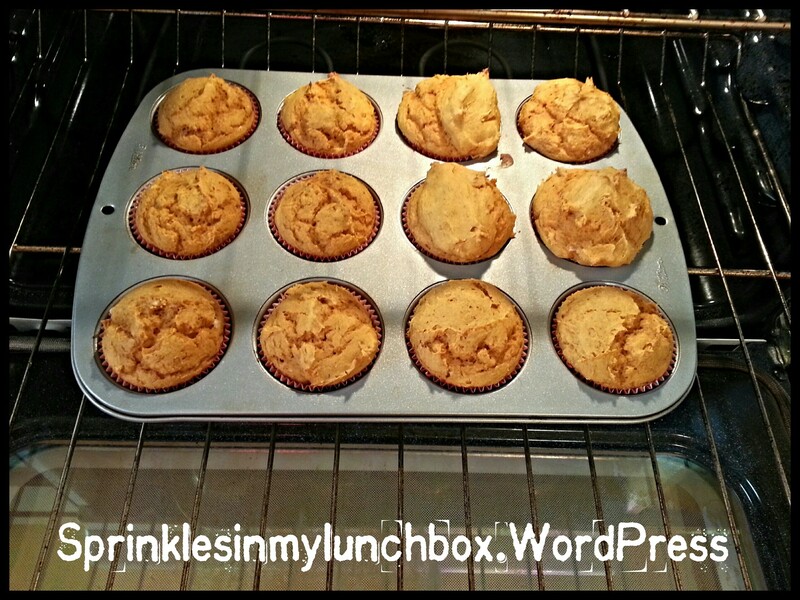 Bigs and I made pumpkin muffins for breakfast and snack tomorrow. It was a fun little activity for us to do together while Smalls was still napping. We used a shortcut and made them with a store bought cake mix (vanilla). 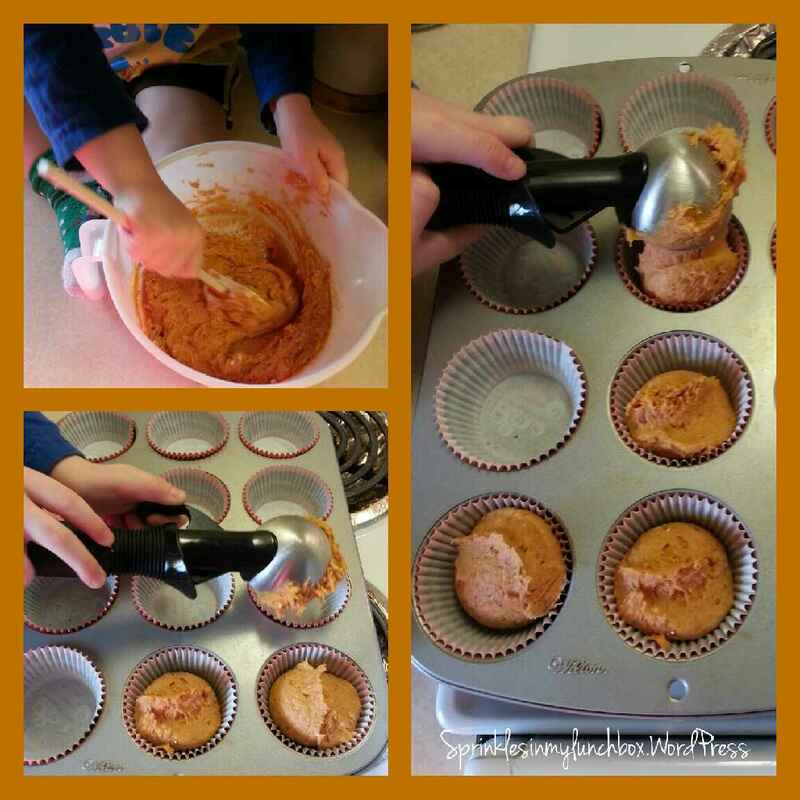 We added one can of pumpkin puree to the vanilla cake mix and stirred like the dickens. We added some ginger and cinnamon and some pumpkin spice bakery emulsion. We baked them in a 350 degree oven for about 20 – 25 minutes. 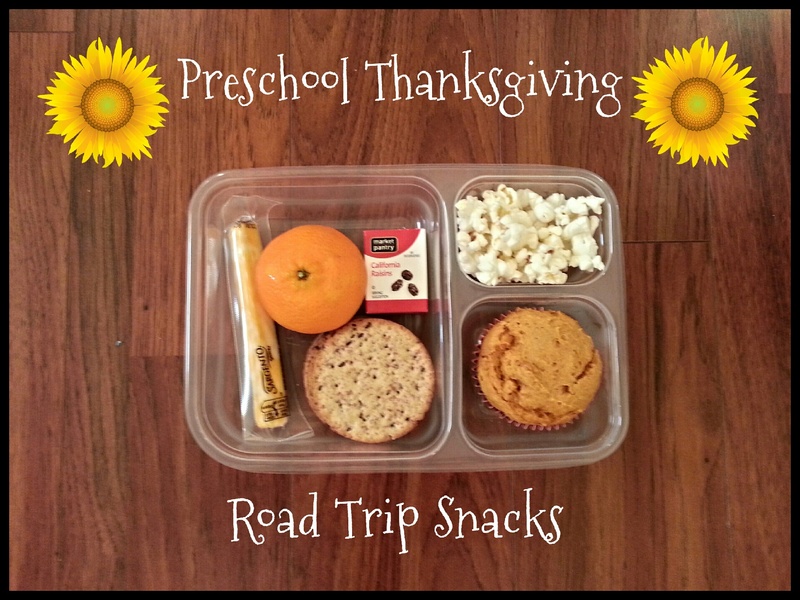 I also put together a snack bento for Bigs for the Thanksgiving car trip. We aren’t going TOO far, but snacks make for a more pleasant ride. I packed a string cheese, a clementine some 5-grain crackers, a box of raisins, some Newman’s Own popcorn and one of our pumpkin spice muffins. Smalls will have less exciting snacks, in the form of Cheerios. 🙂 I will pack both of them an applesauce squeezy fruit. 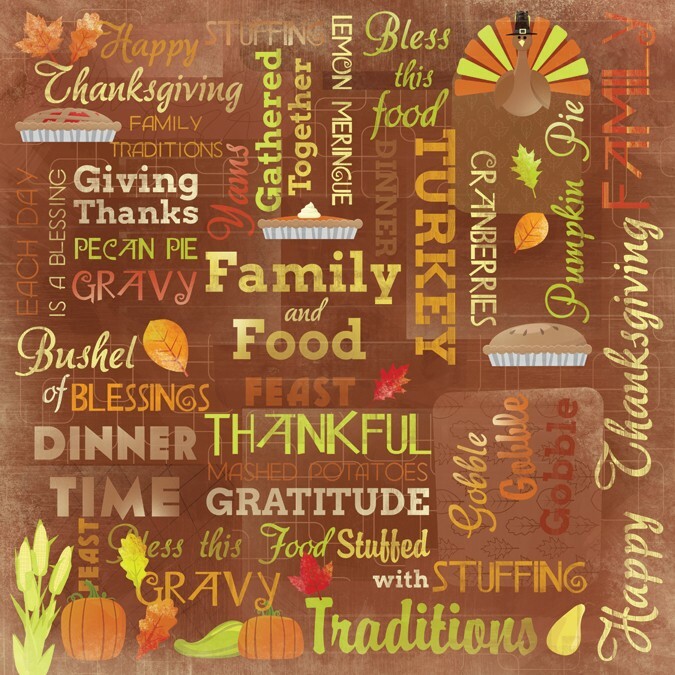 I hope you all have a VERY blessed, safe, thankful and HAPPY THANKSGIVING! Enjoy the time with your family and friends. And if that’s not how it’s going to turn out, it’s what you make of it! And to those going through hardships and heartache, may you feel God’s warm, loving embrace and presence, and may you find comfort in Him and the blessings (big and small) you have. There is always, ALWAYS something to be thankful for. God Bless. 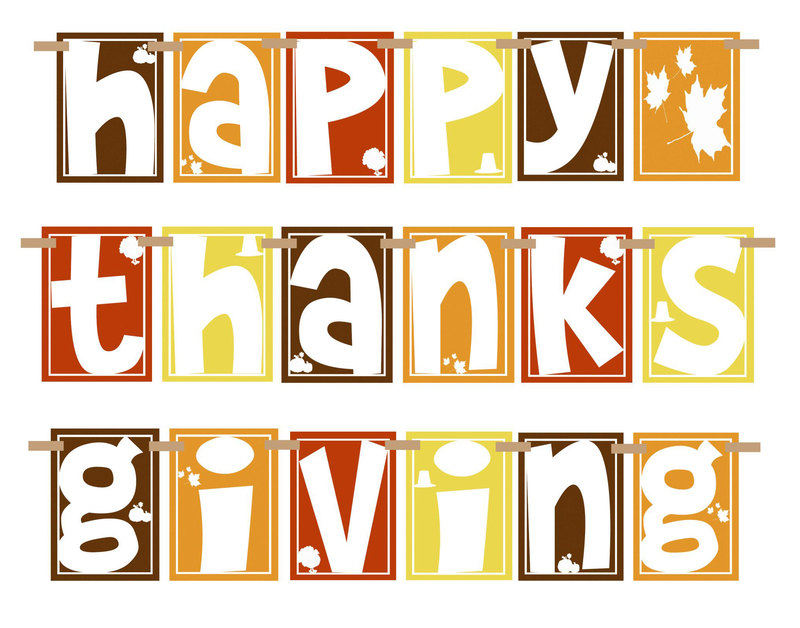 I am so thankful for all my friends and family, near and far. And I’m thankful to God for all the blessings He gifts us (and even those He does not!) 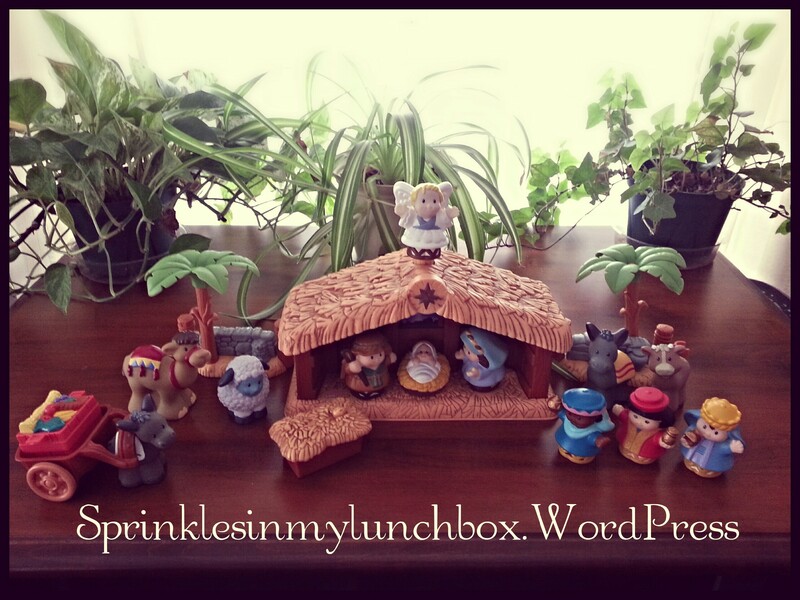 And I’m also thankful for this blog and all who read it and support me. It means so much more than you can even know. So, thank you. Happy Happy Thanksgiving. Let’s talk turkey. Just kidding. Someone else is making the turkey. Ain’t nobody (read: me) got time for that! Literally. So let’s talk sides and dessert. That’s my forte. And before that, let’s backtrack just a little. 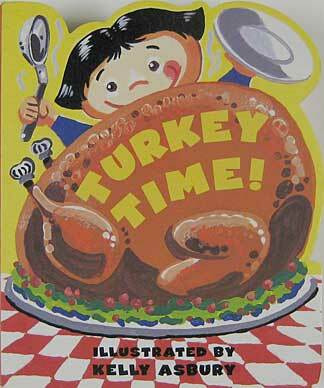 I want to paint my very fond Thanksgiving memories for you. Literally. 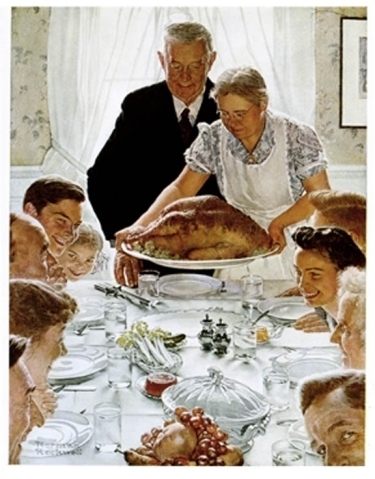 And the dining room we ate in looked almost identical to this Normal Rockwell painting. My beautiful Grandma would have her long gray hair coiled into a bun, she’d wear a sweet little dress with stockings and slippers (it’s hard work cooking for so many!) and cover it all up with an apron that had seen many meal preparations. When she would see us, her whole face would crinkle up in a smile and she would always have this little sparkle in her eyes. My Granddaddy would always cry tears of joy when our family car would pull up that dirt and gravel-covered driveway. My Aunts and Uncles and Cousins would pour in through the tattered screened door in the kitchen, arms laden with covered dishes and hugs to hand out. My Grandma would be standing at the stove top, frying up her hoe cakes in her beloved old cast iron pan. There’d be field peas in a saucepan, a fried turkey, my Aunt Sue’s macaroni and cheese, shredded chicken and hard boiled egg dressing, and food for miles. And miles. Good Southern, comforting food. The dessert table always held the traditional pumpkin pies, cobblers, etc., but there was always something else that held my gaze. 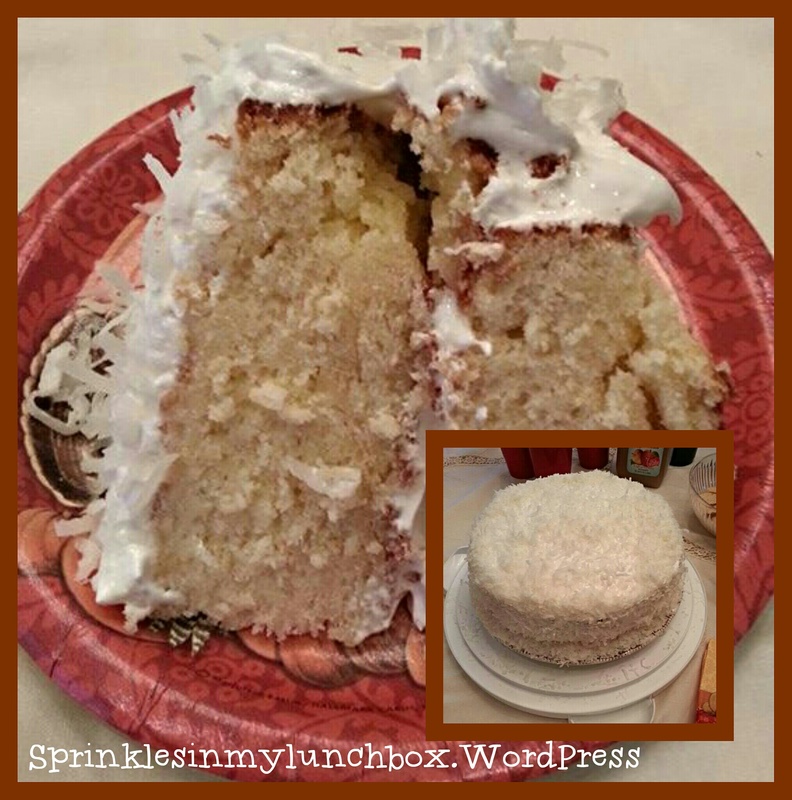 My Grandma would always make a multi-layered coconut cake. It always looked so tall from my shorter, younger (I’m tall, but my memories were made when I was young) stature looking up at it on the counter. 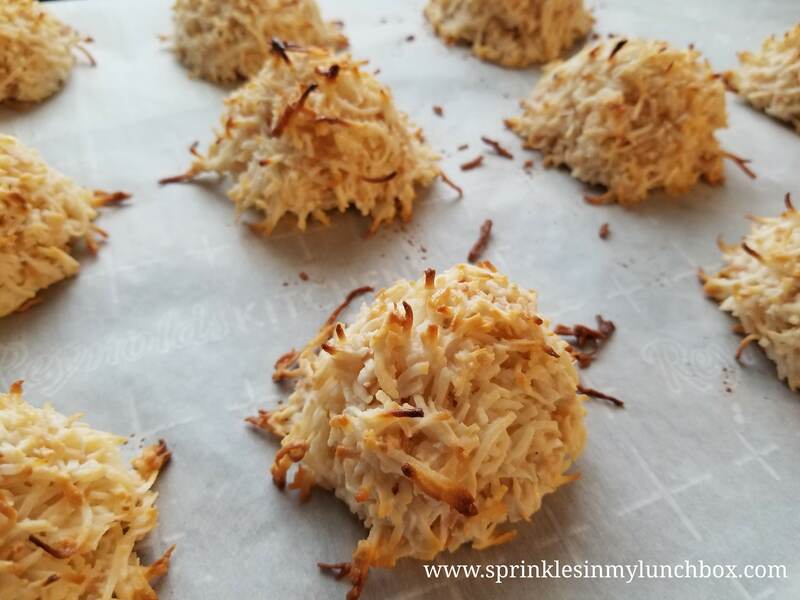 It was iced with the most glorious white frosting, and then covered with stark, white coconut flakes, imitating that fresh first snow fall. I always ate a slice as big as my face. It was always my favorite. 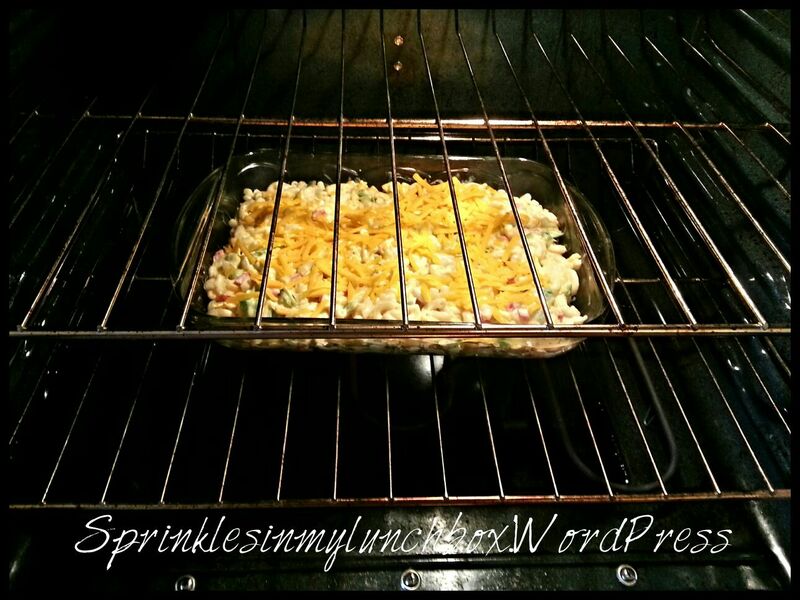 And my dear Aunt Sue’s macaroni and cheese. That is one of my all-time favorite recipes still. She passed that one on to me before she went to be with the Lord. 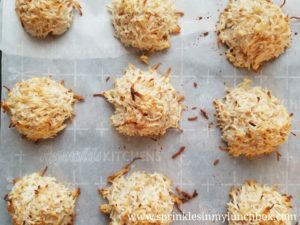 While I never got the coconut cake recipe from my Grandma before she also went to be with the Lord, I did find recipes online that closely match these and my other heart-guarded dishes. I’d like to share some of these with you today. They may not be the healthiest or use the most “trendy” ingredients, but they are sacred in my heart. They equal hugs on my plate. This is my dining room table last Thanksgiving. I prepared a few of my favorites. I made green bean and sweet potato casseroles (no favorite recipes here). 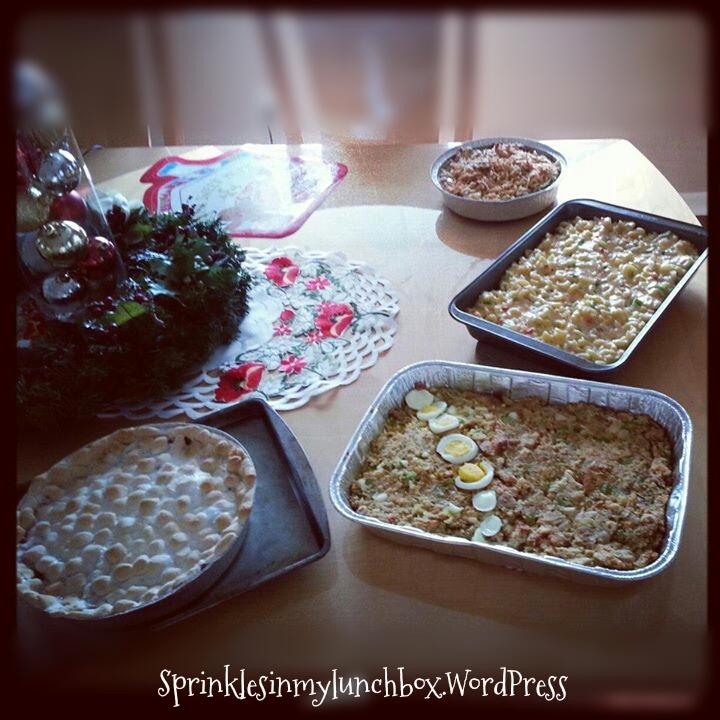 The back right tray is my Aunt Sue’s Macaroni and Cheese and the front tray is my Shredded Chicken and Hard Boiled Egg Dressing. Here is the recipe I’ve found that most closely resembles the dressing. I use only white meat (boiling chicken breasts or using a rotisserie can cut down on time), I make cornbread from Jiffy, and I do not make or use the giblet gravy or chutney. 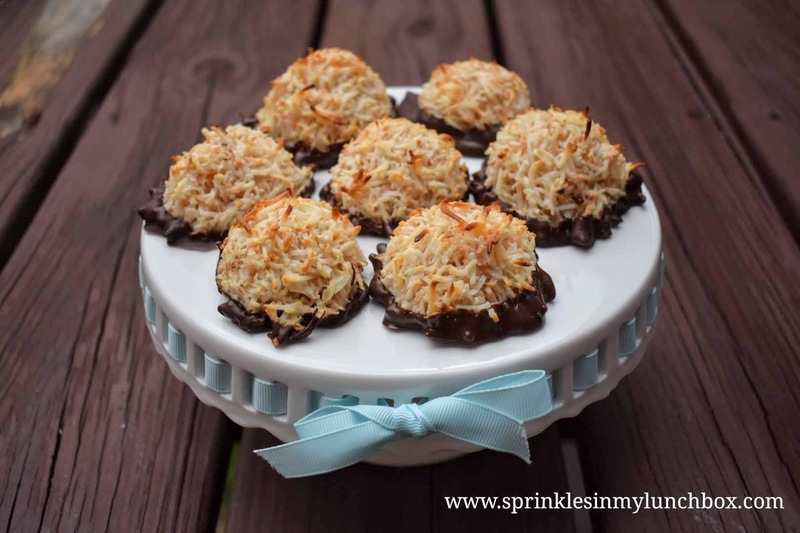 Here is my dear, sweet Aunt Sue’s recipe. I make my own “cream of” soups now, but I cannot bring myself to change her recipe AT ALL. This is a highly simple recipe, and quite humble. Even though it is such, it is one of my most prized and loved recipes. Please feel the love my Aunt Sue had for all of us when you make and enjoy this. Combine the above ingredients and place in a buttered casserole dish. Bake at 300 degrees for 30 minutes. 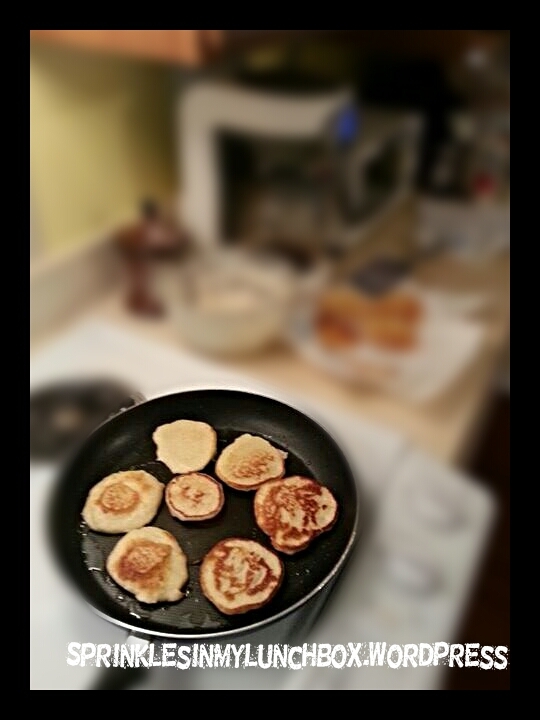 Hoe Cakes are cornmeal based…pancakes, for all intents and purposes. The closest recipe I could find to match my Grandma’s could also be found from Paula Deen…go figure. These would be piled high in a pie tin on each table at Grandma’s house. And we’d eat our weight in them as we were waiting for the “big” meal to start. 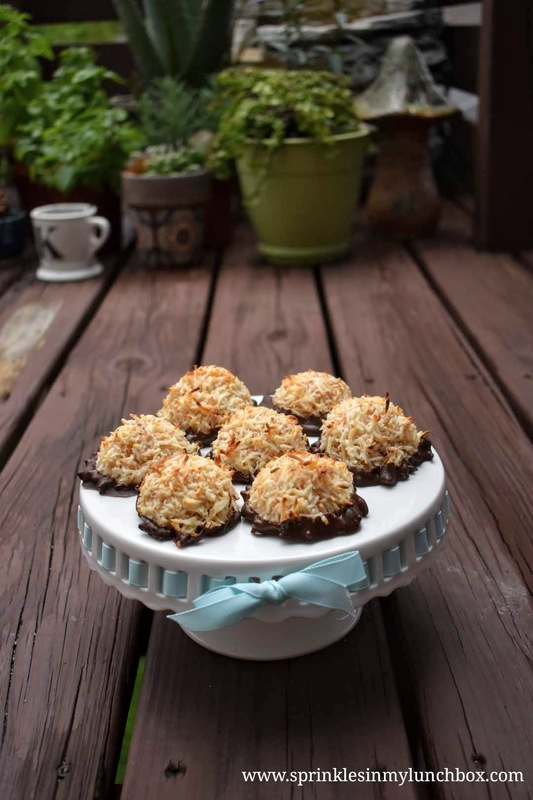 The closest recipe I can find to match my Grandma’s Coconut Cake is another Deen recipe (lol – Southern at best!). After our afternoon Thanksgiving feast, we’d go out in the backyard and shoot aluminum pie tins with Granddaddy’s BB guns. My brother and I had a blast. We’d go for rides on the riding mower. We’d go “moo” at the cows in the back pasture and go for a walk through the cotton fields flanking that country house with a porch swing. We’d sneak into my Granddaddy’s barn and look at all his old fashioned tools and try to guess what they were used for. How we loved those Thanksgivings spent there. As we grew older, we’d STILL enjoy the same traditions. After Thanksgiving day spent there, we’d go to my Mom’s family and have a second Thanksgiving with them (in a different state). My sweet Grandmother had (still has) her own recipe for macaroni and cheese (a recipe for another day!) and an amazing cream cheese topped, jellied cranberry and nut salad. I am going to have to get that from her again this year, as I’ve lost the recipe. Sadly, much of my family on my Dad’s side has passed on and so we’ve had to change traditions. 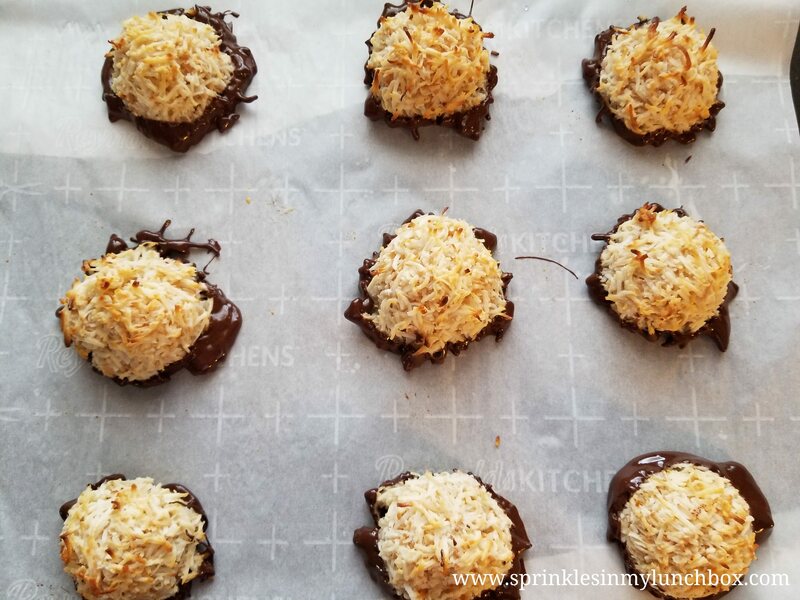 Whether we spend the holiday with my Mom’s family or with my Husband’s family, locally, I always make it a point to make these recipes that are so fond in my heart so that I can feel that love miles and miles away from where it started. 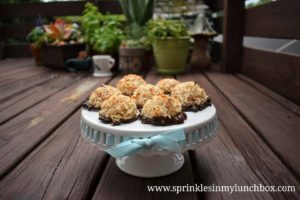 I’ve got two other recipes that I’d like to share with you today. One is a scone that would make for a lovely, festive breakfast on Thanksgiving morning. Imagine eating these little beauties with a cup of coffee or tea as you are starting to prepare your meal. 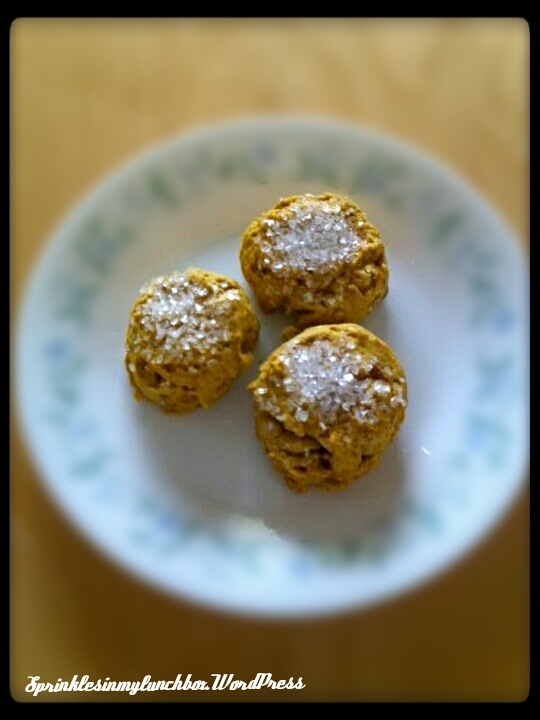 I got the recipe for these Harvest Pumpkin Mini Scones from King Arthur Flour. And here is another dessert recipe, but for the more daring home cooks! This Pumpkin Mochi Cake is REALLY good – not too sweet and sort of chewy in that lovely mochi way that I am so very fond of. 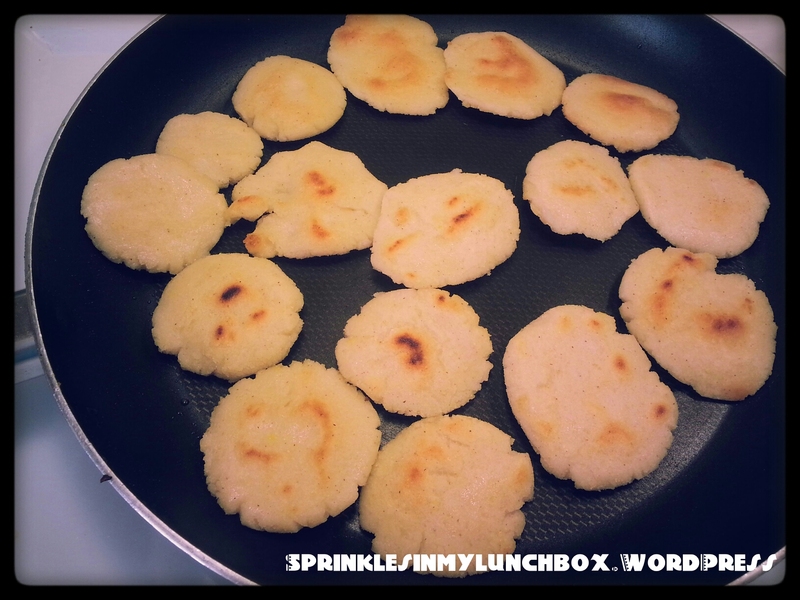 I used Mochiko (glutenous rice flour) that I found at a local special store. I obviously didn’t use small molds for this, as the recipe calls for. I used an 8×10 dish and doubled the recipe. PS – My husband is home with us now. God is good!